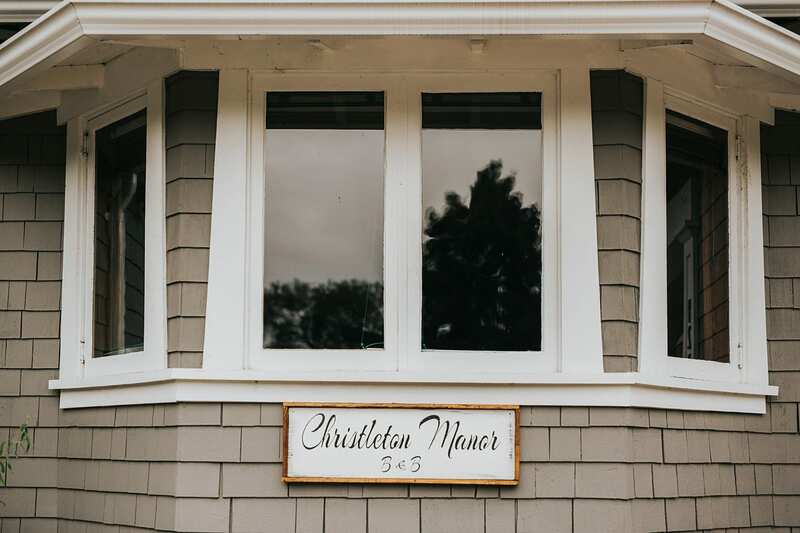 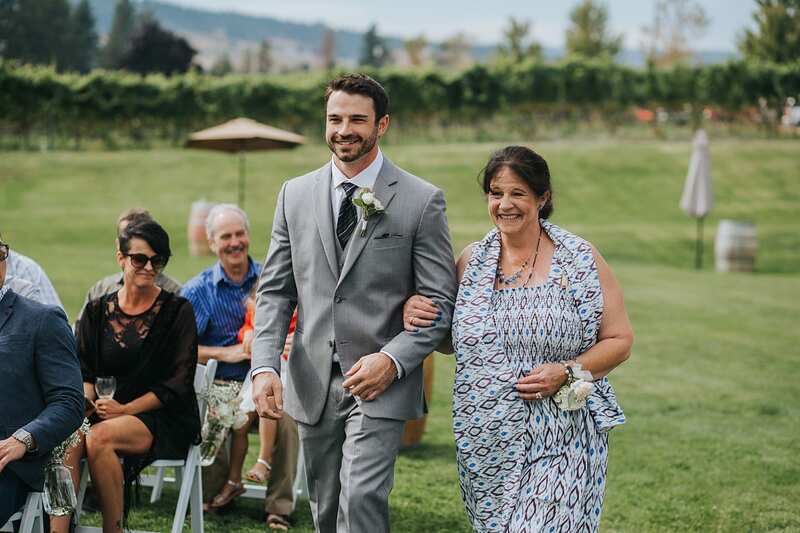 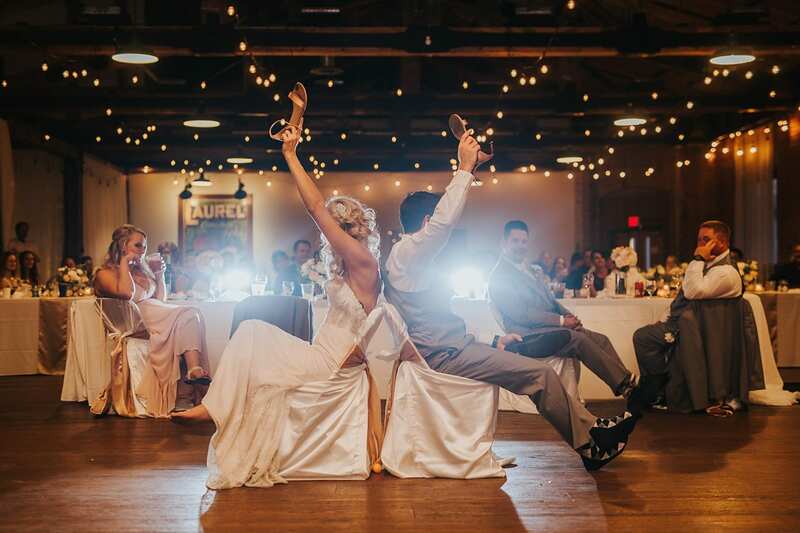 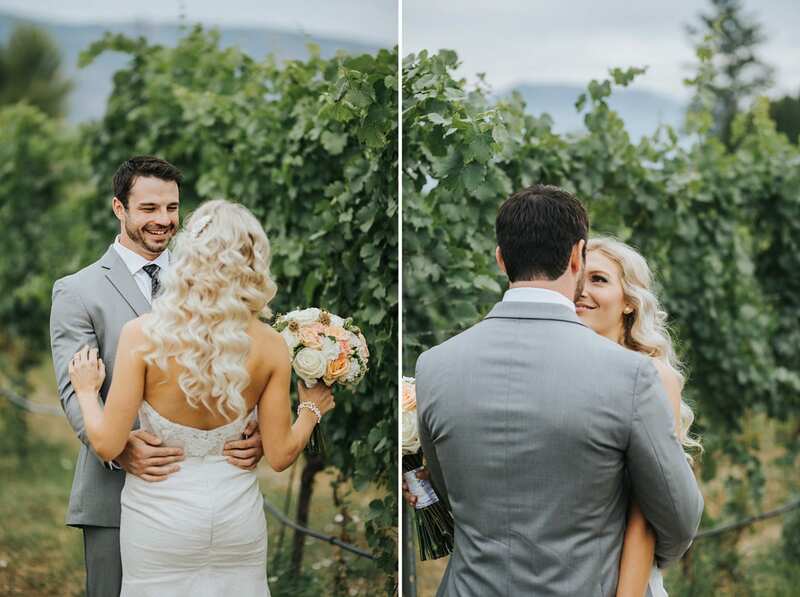 Kirstin + Chris’ Off the Grid Winery Wedding was so much fun! 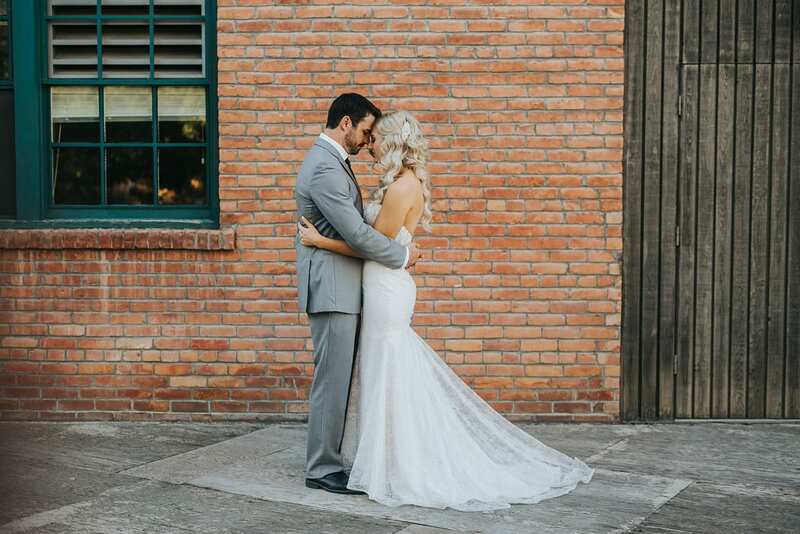 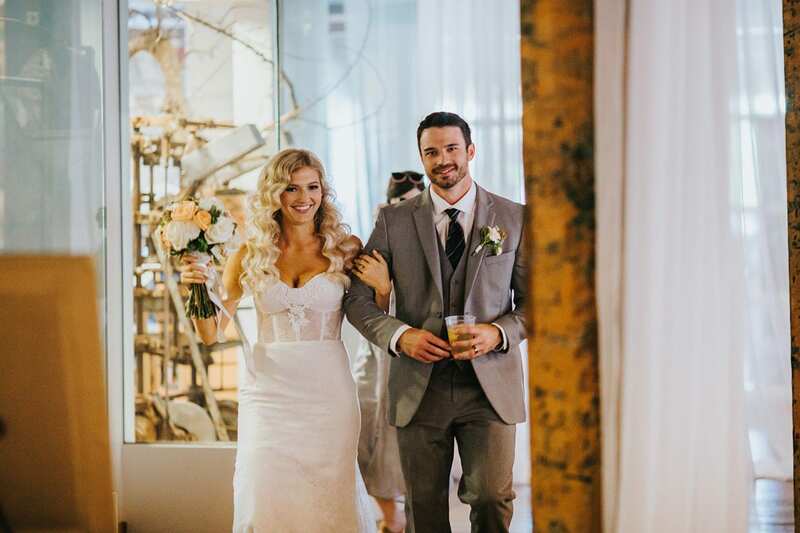 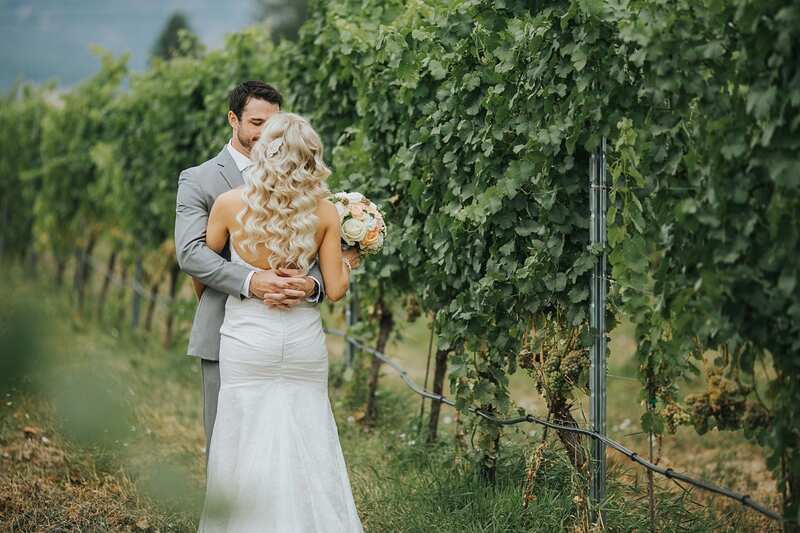 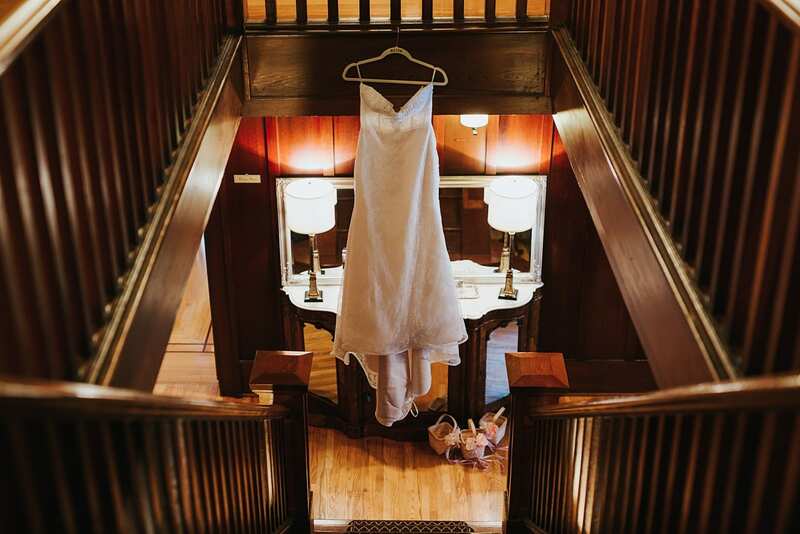 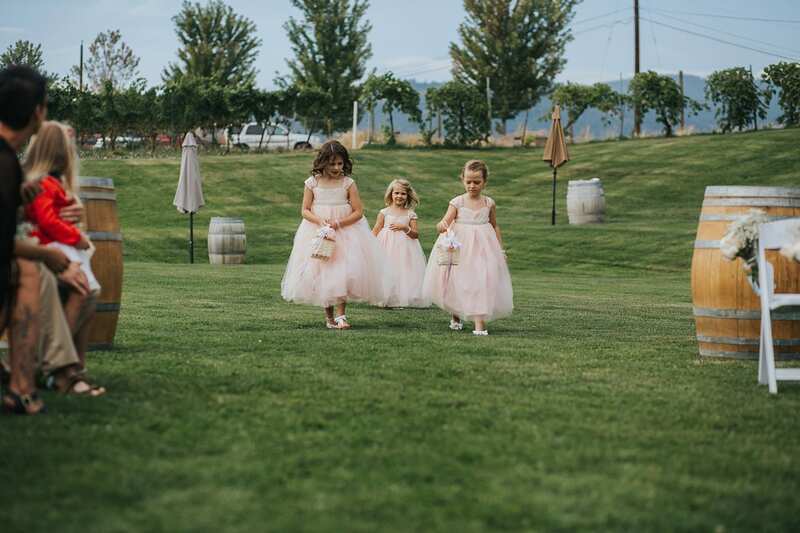 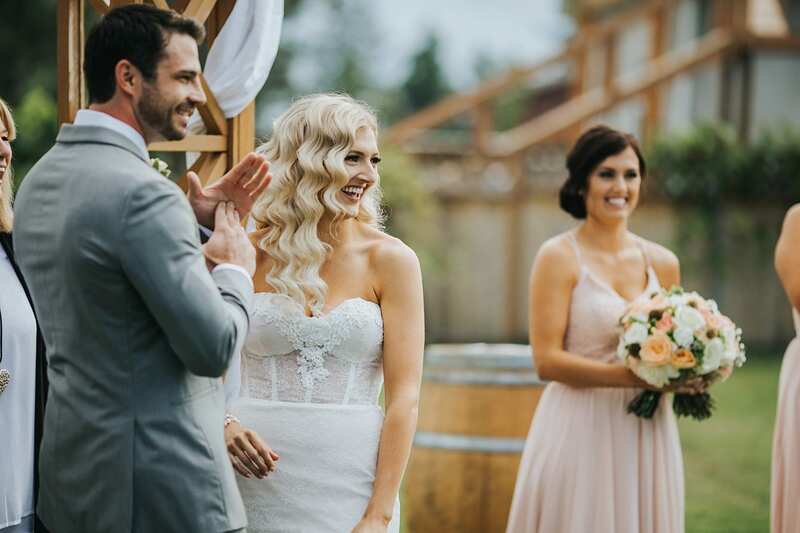 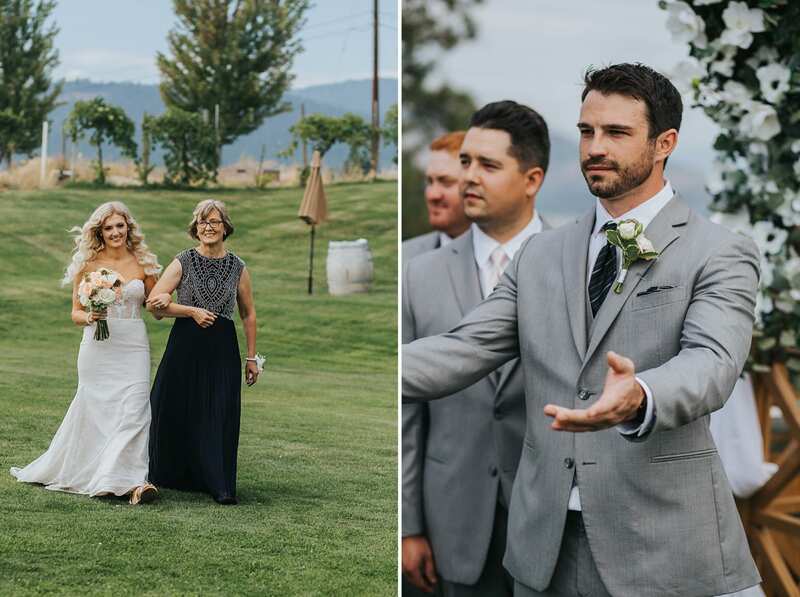 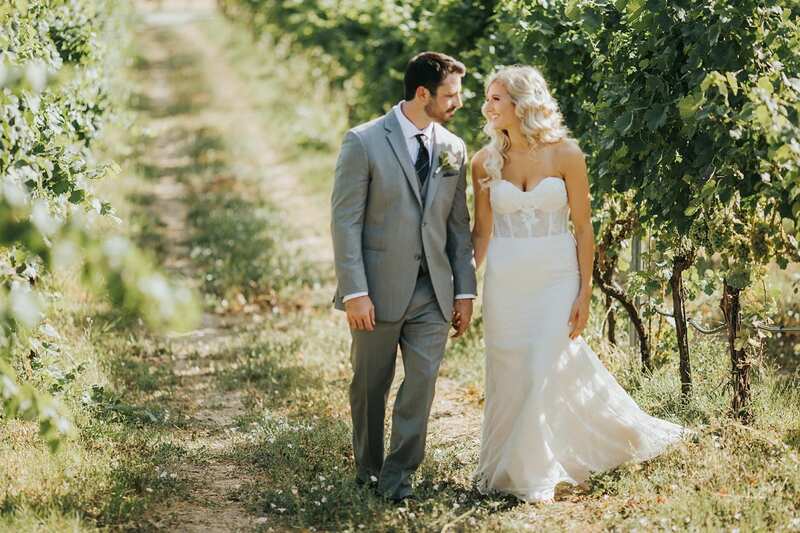 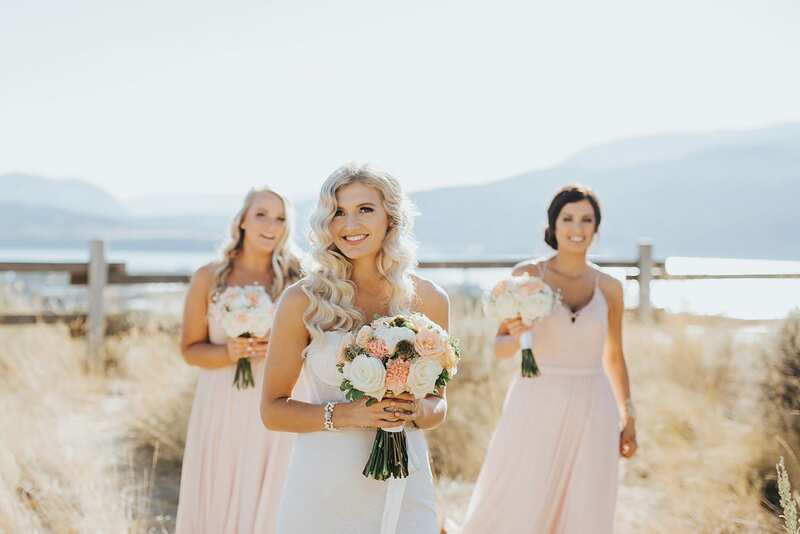 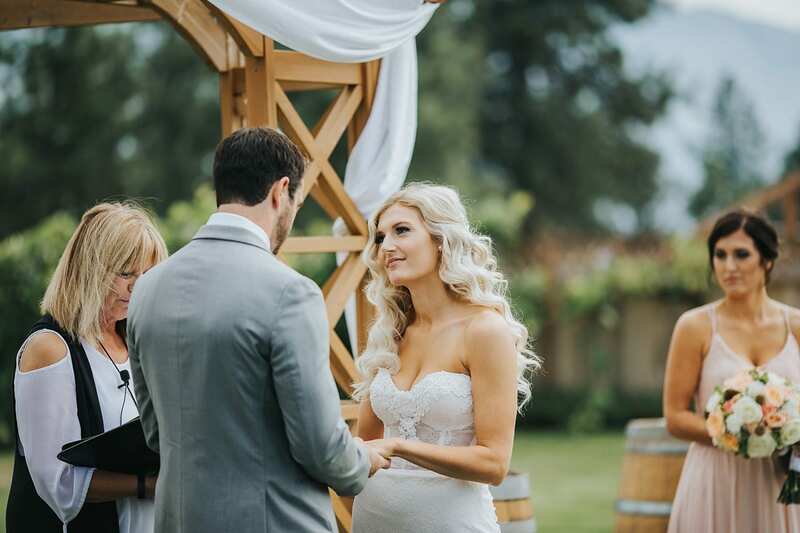 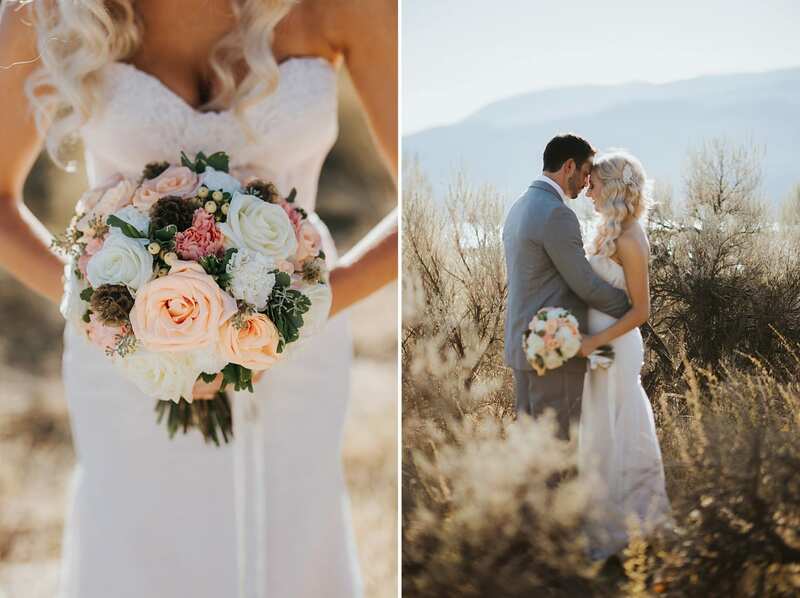 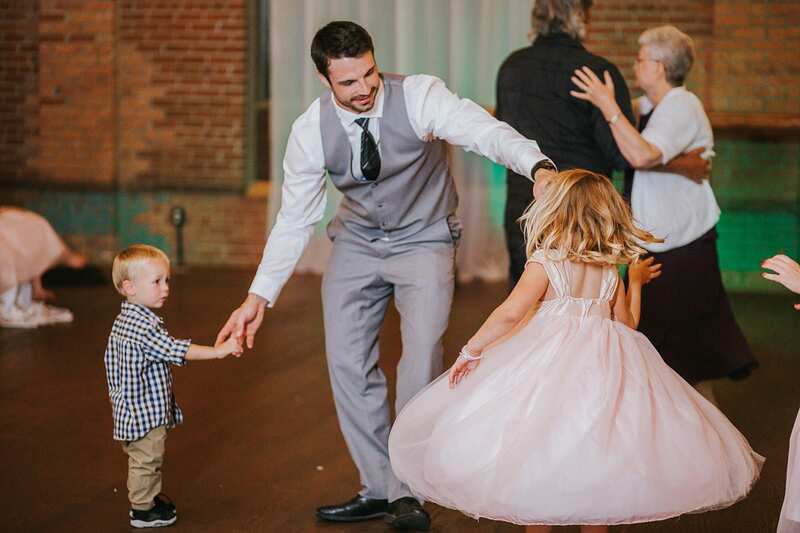 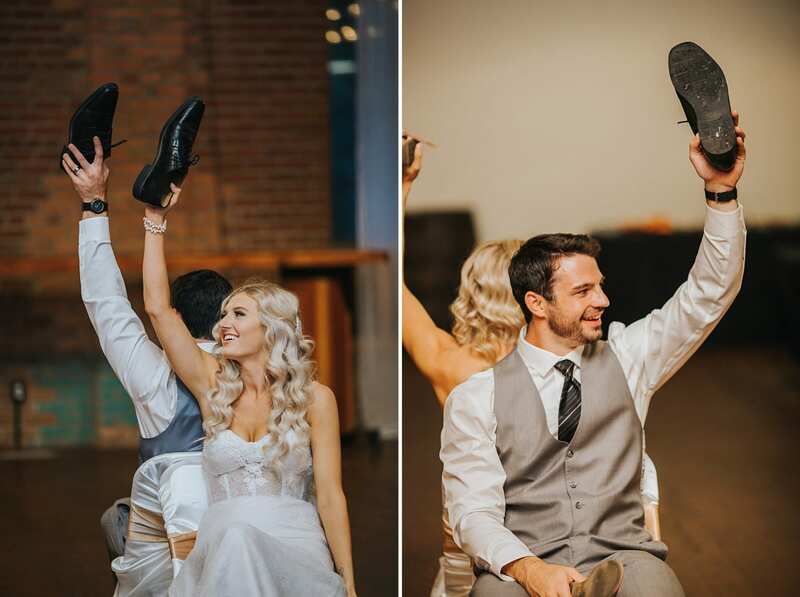 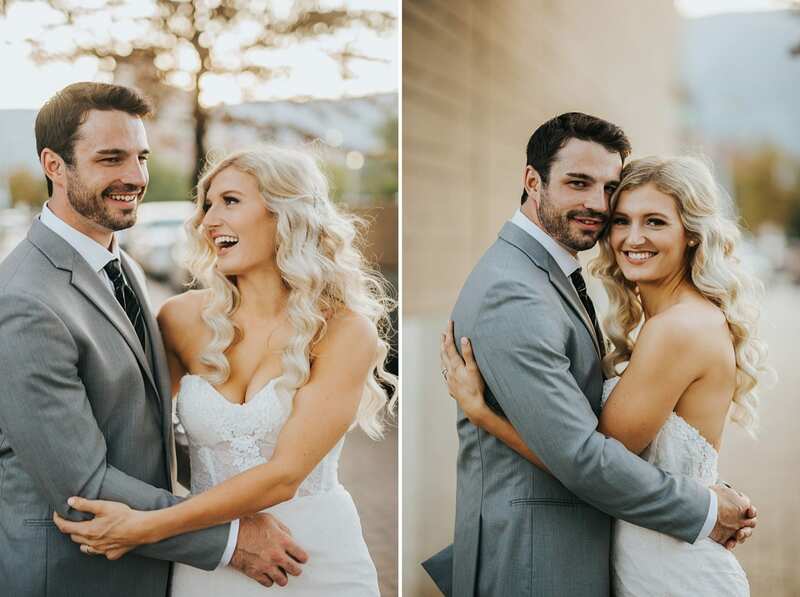 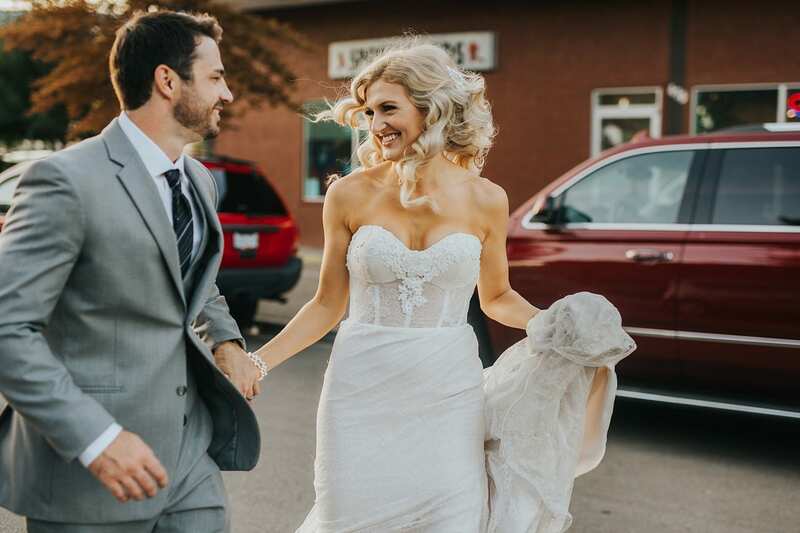 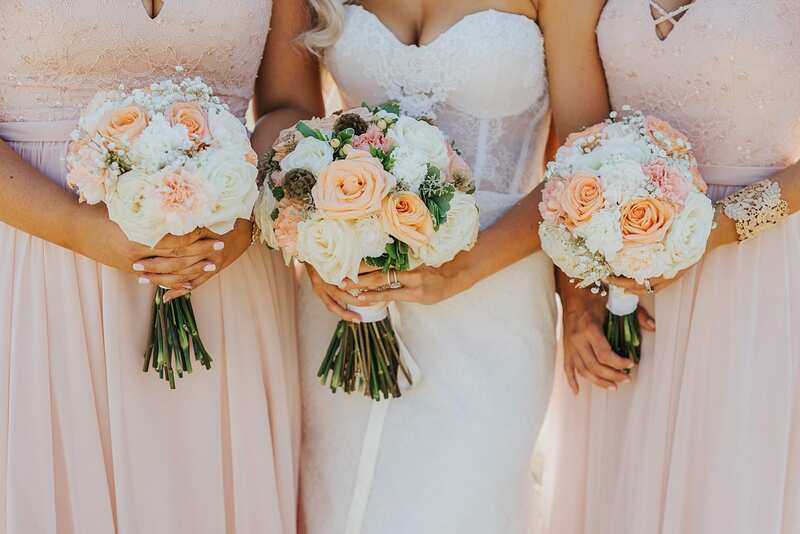 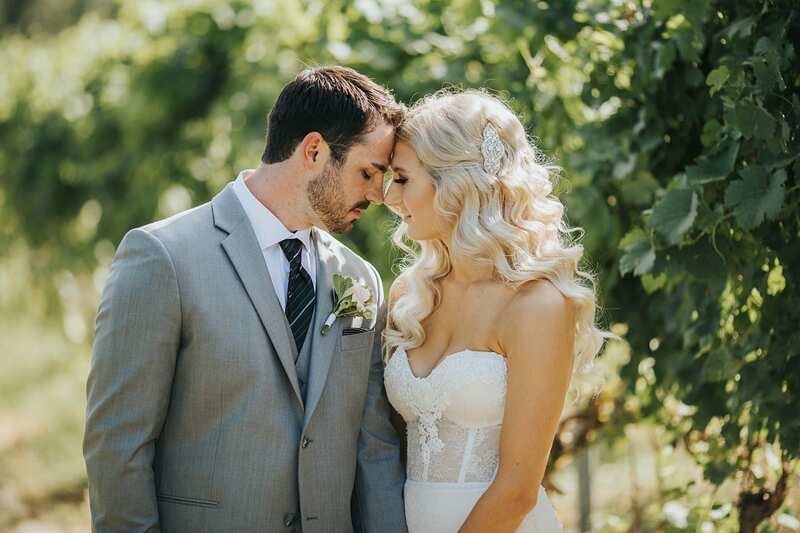 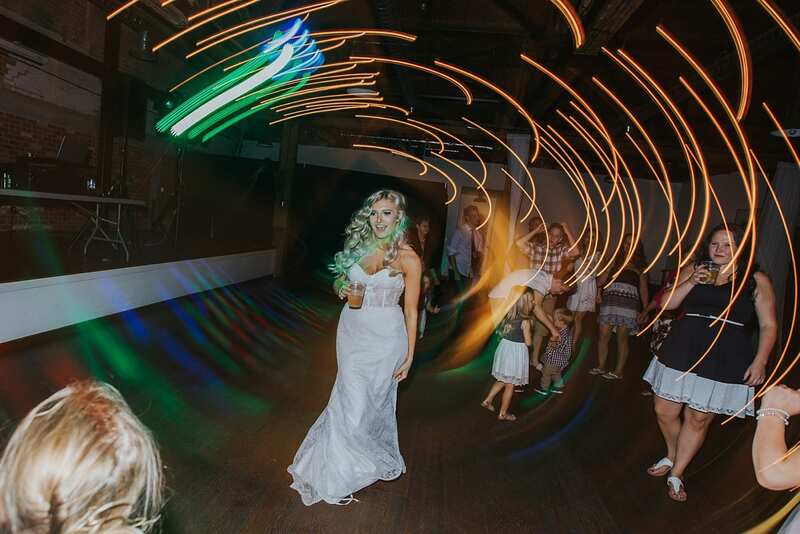 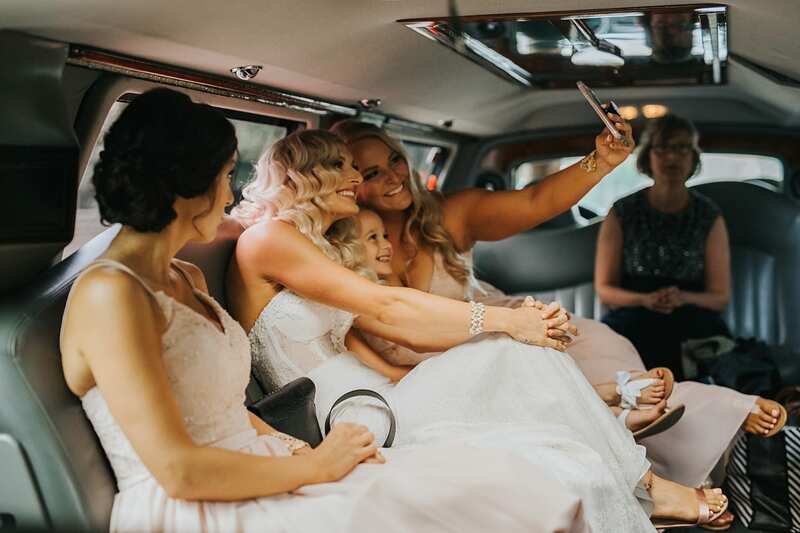 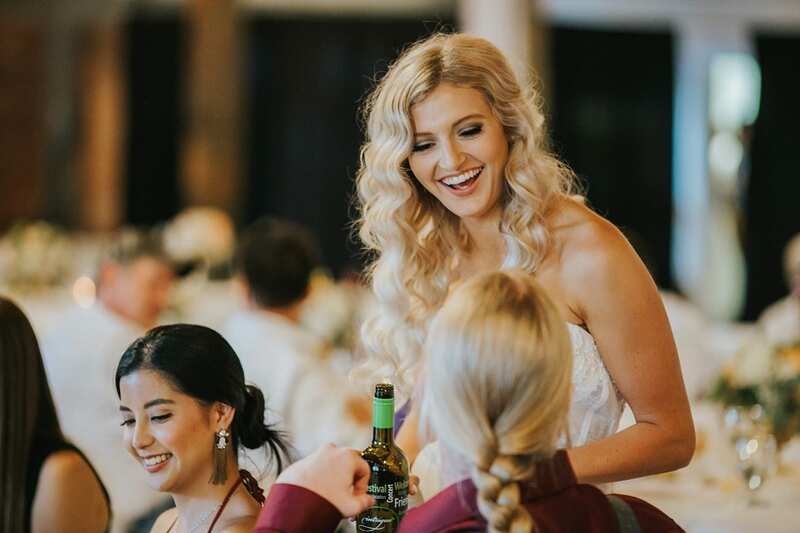 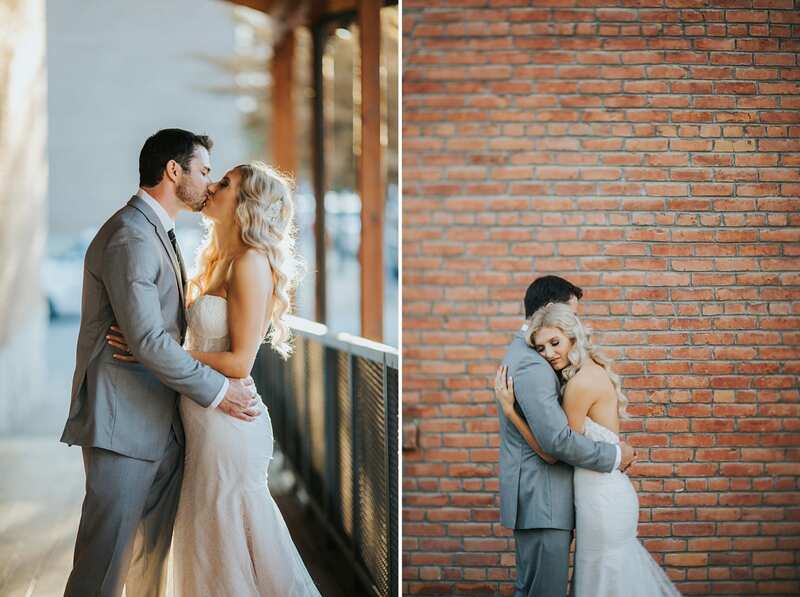 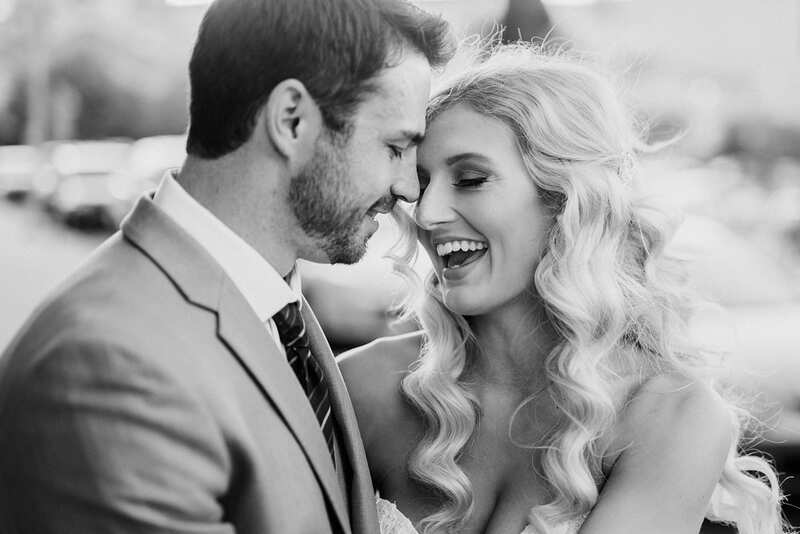 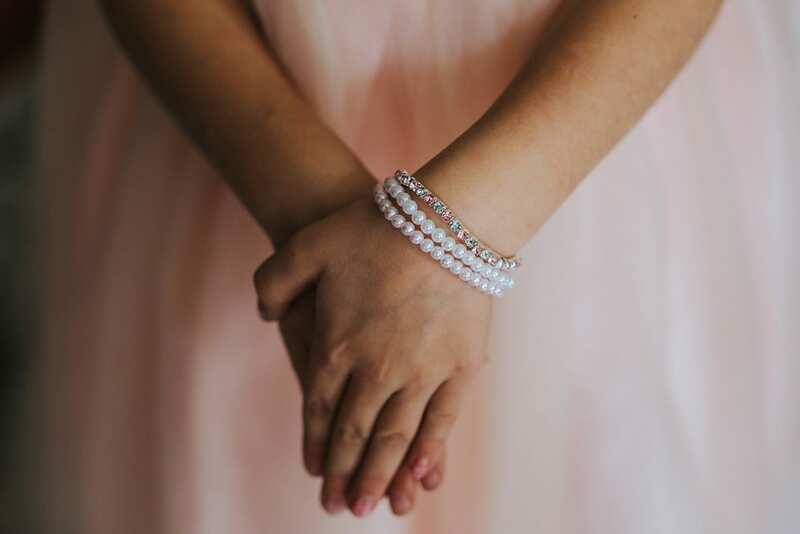 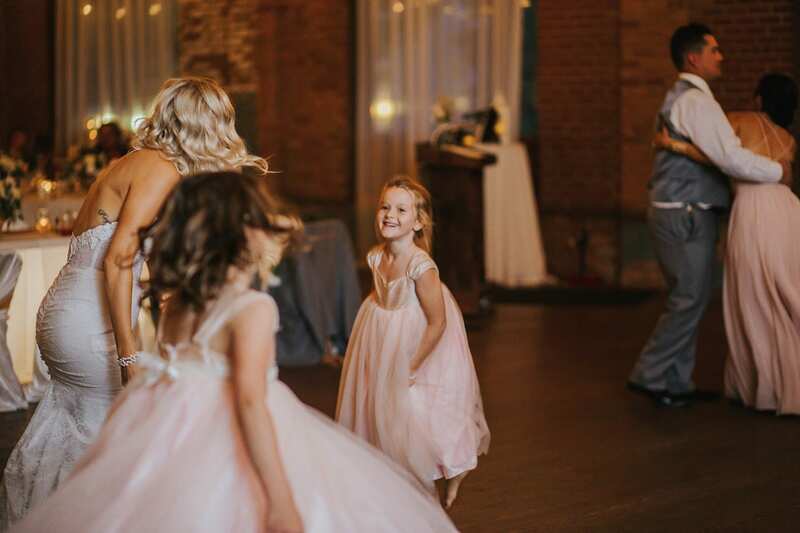 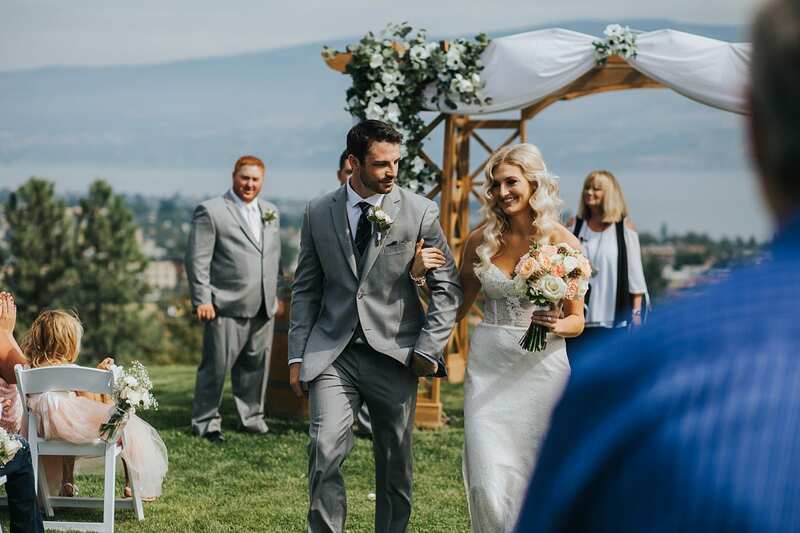 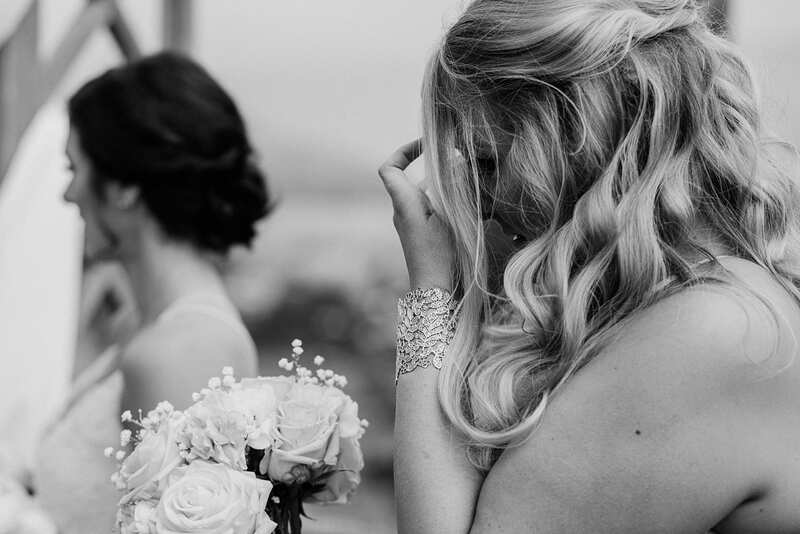 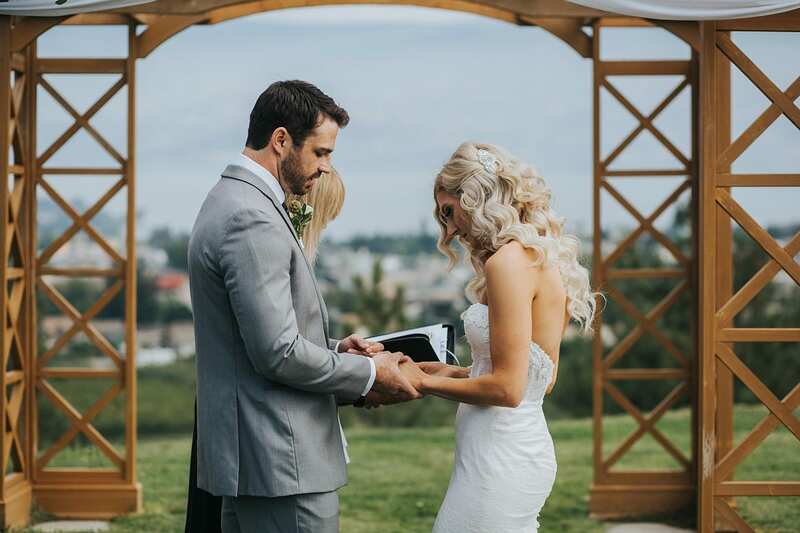 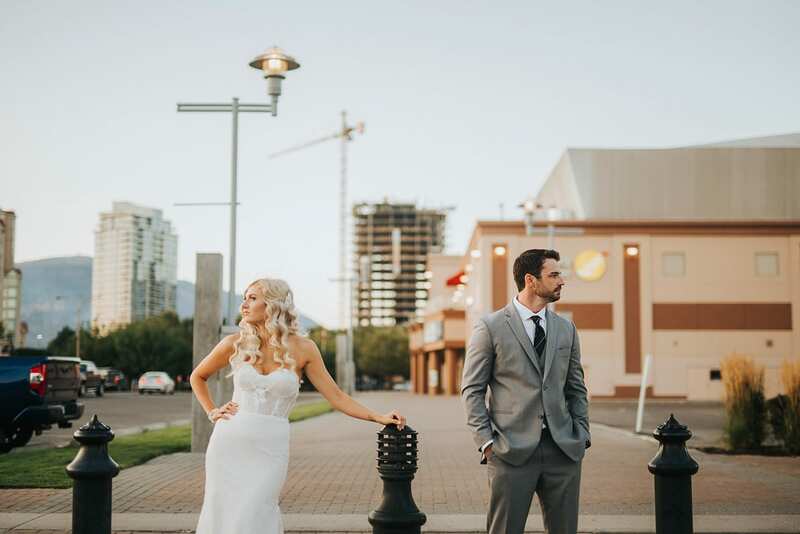 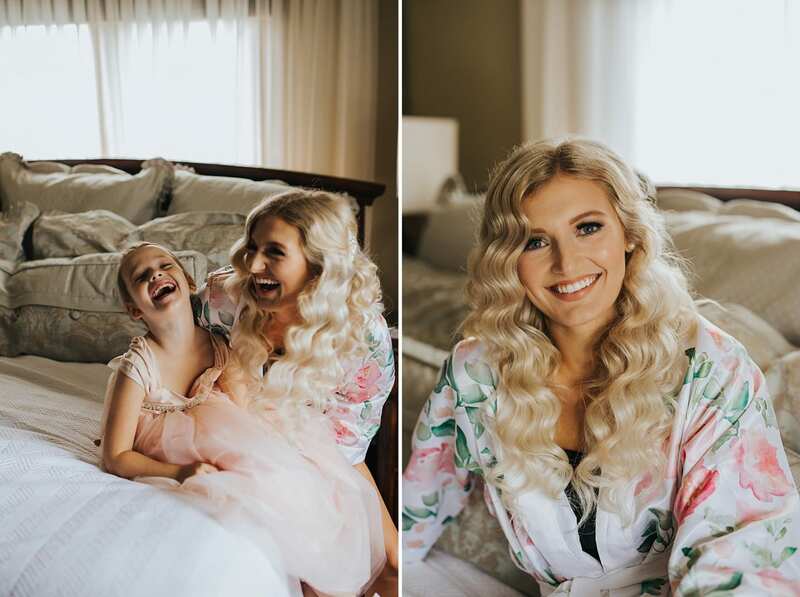 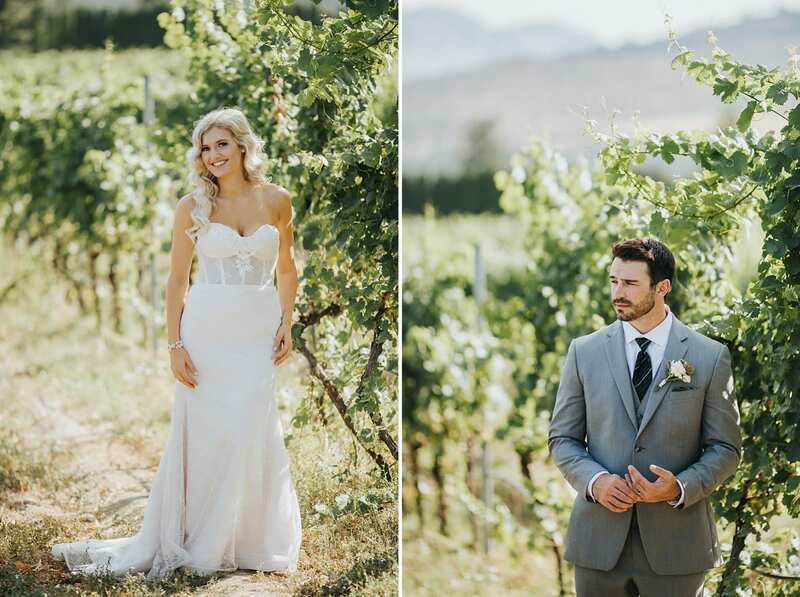 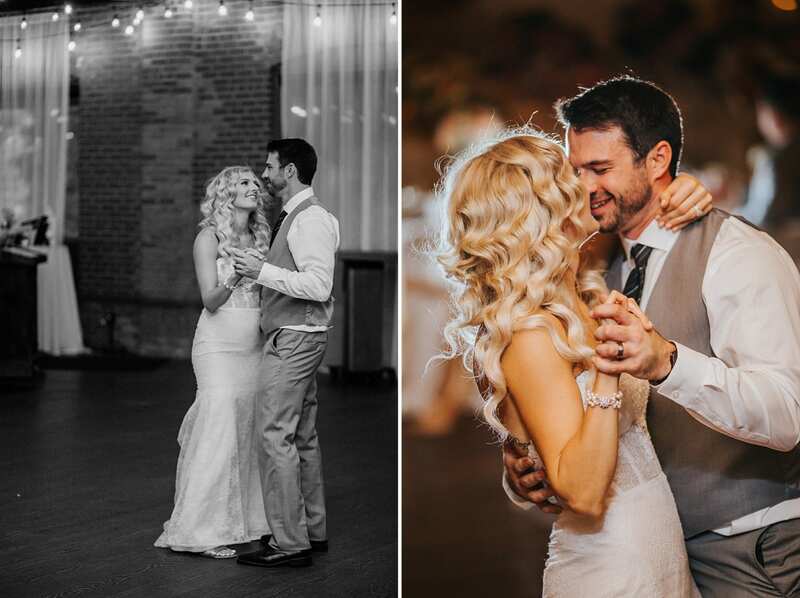 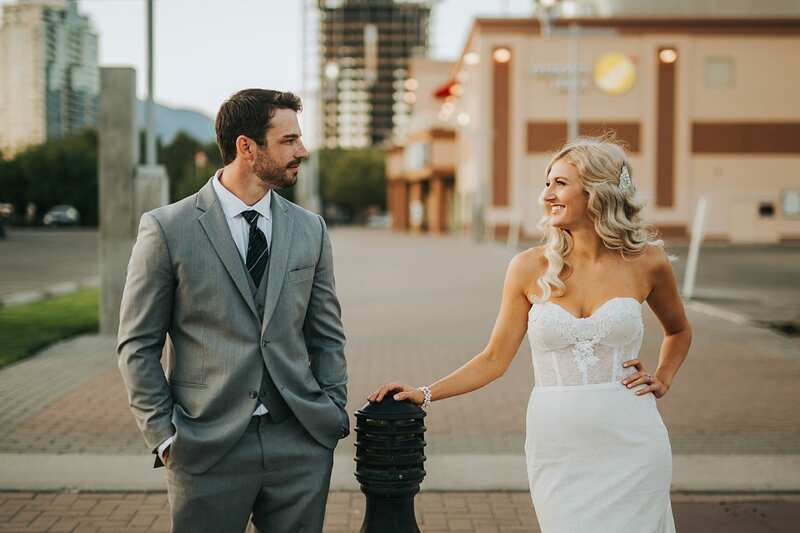 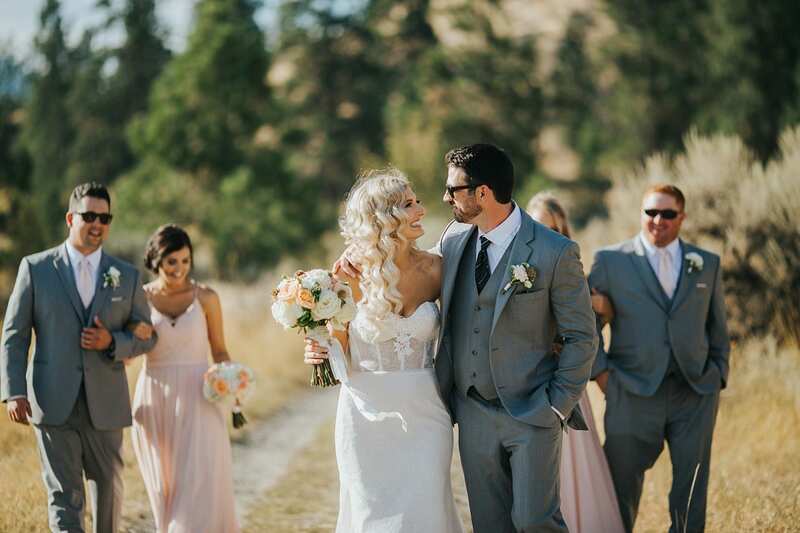 From a happy first look in the vineyard to running down the street in downtown Kelowna, it was a pretty magical day! 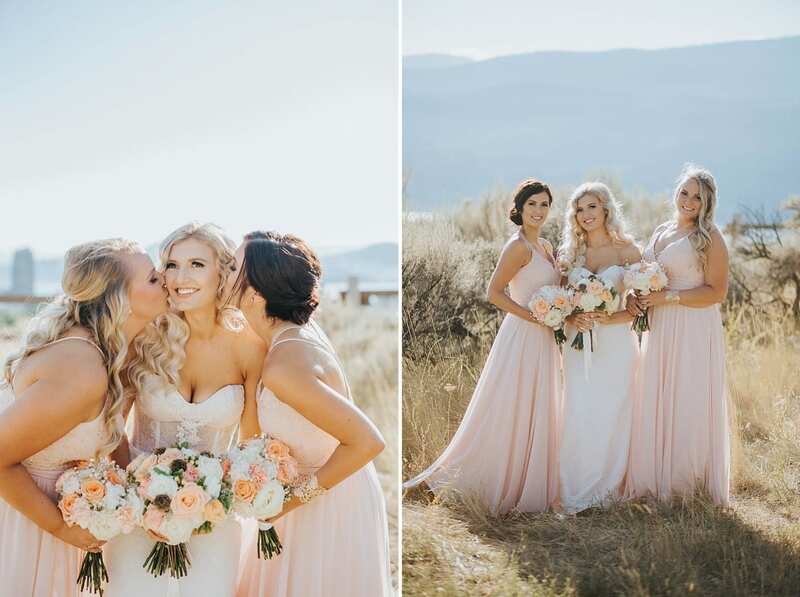 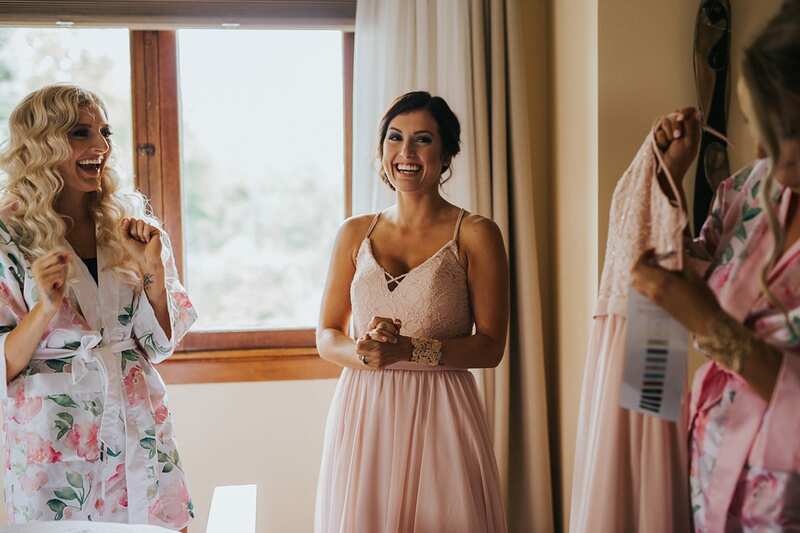 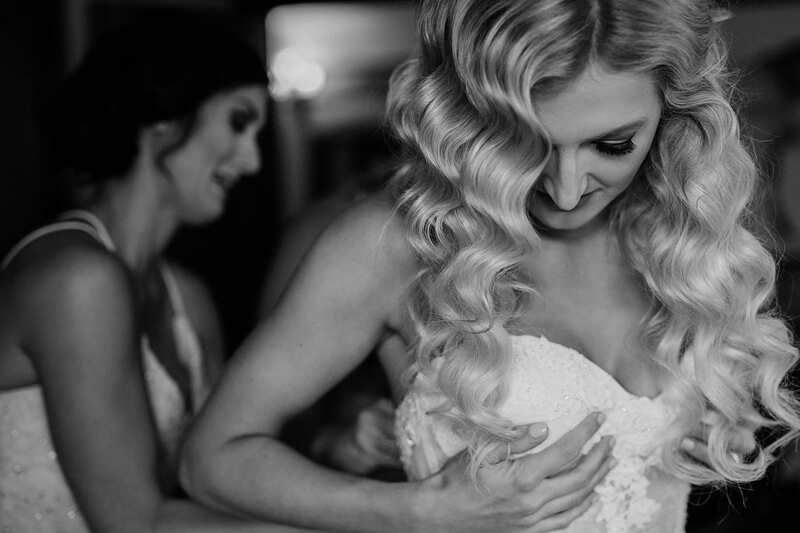 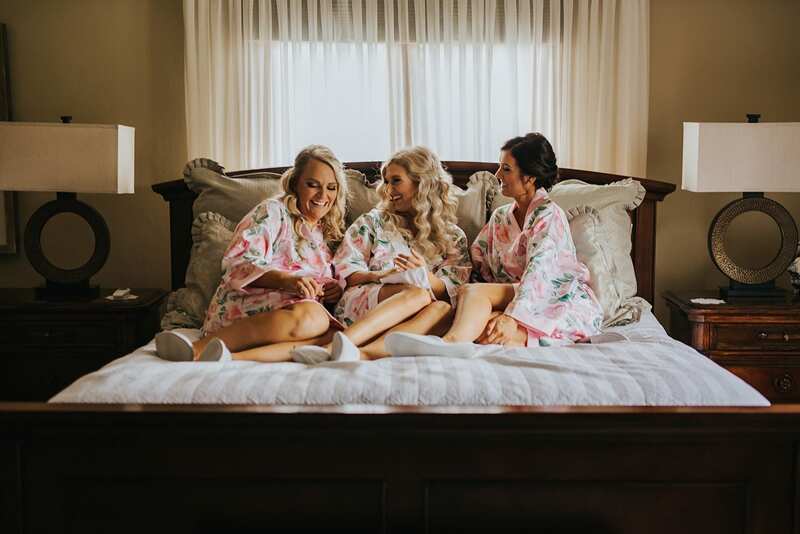 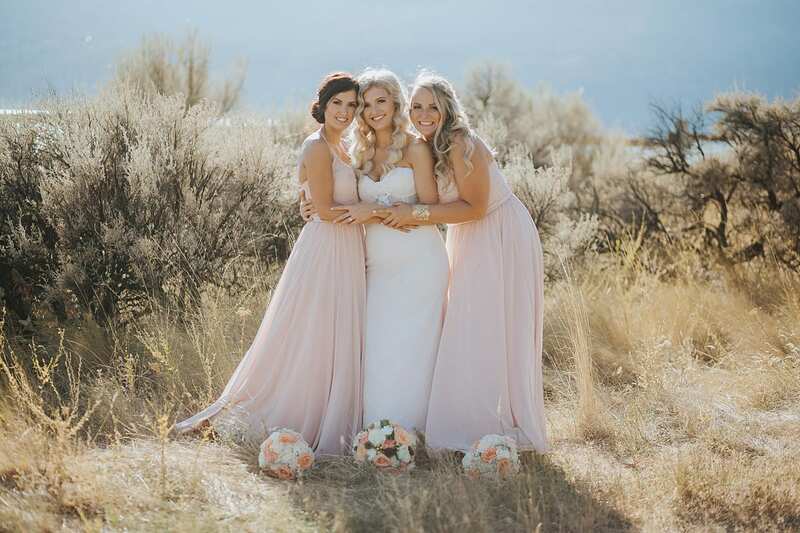 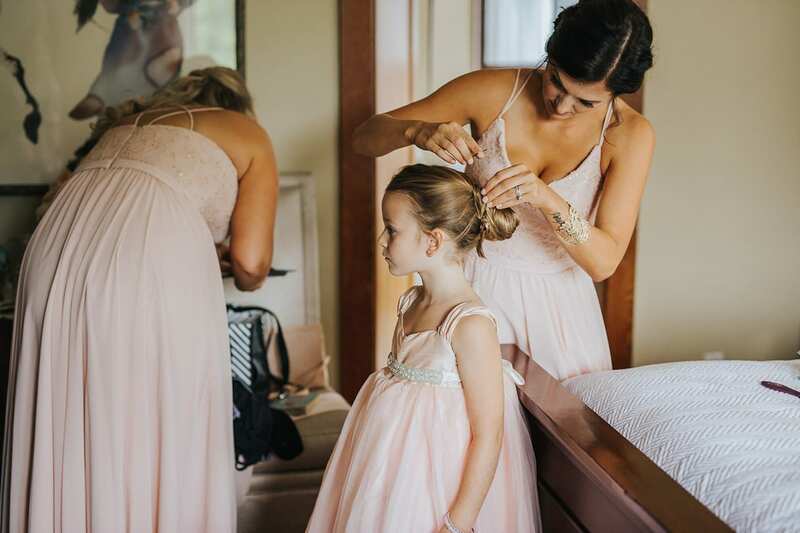 The wedding day began with Kirstin and her bridesmaids getting ready at the beautiful Christleton Manor in Kelowna. 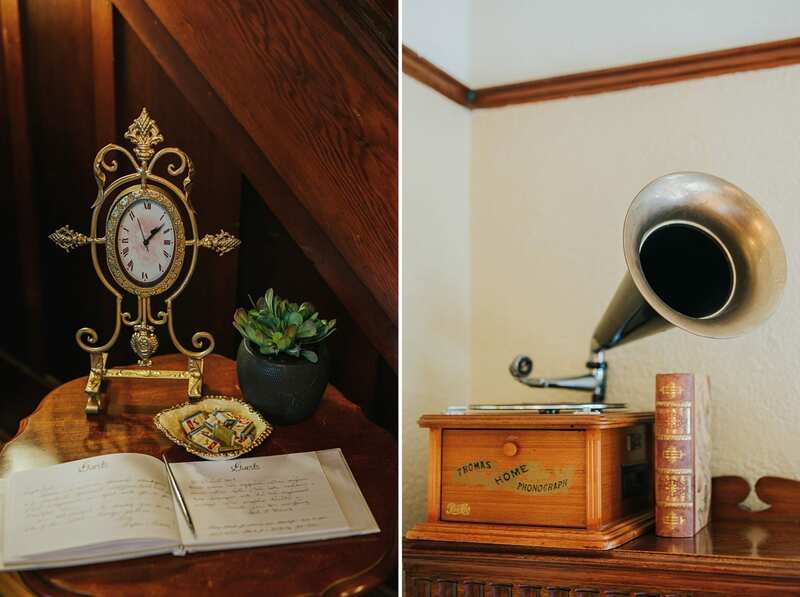 The details inside this Bed & Breakfast were so interesting and full of character. 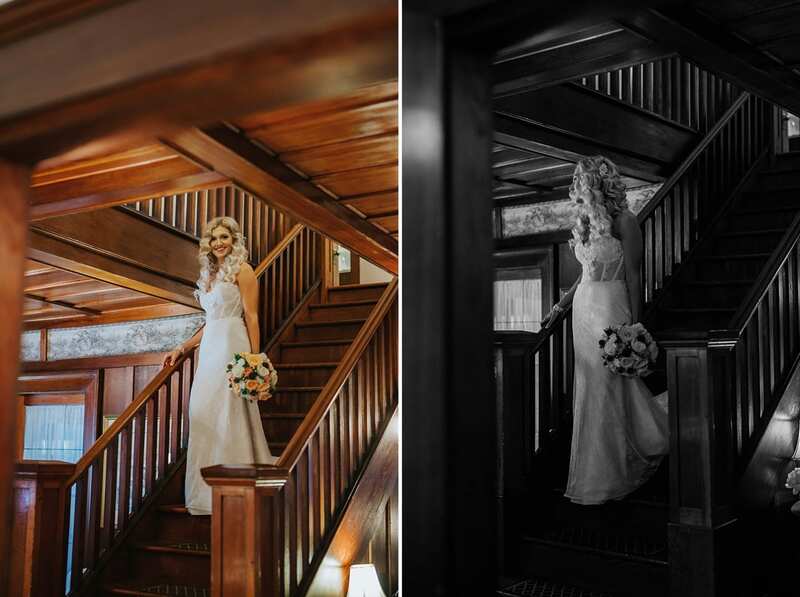 Soon Kirstin’s dress was on and she looked stunning coming down the big stairs! 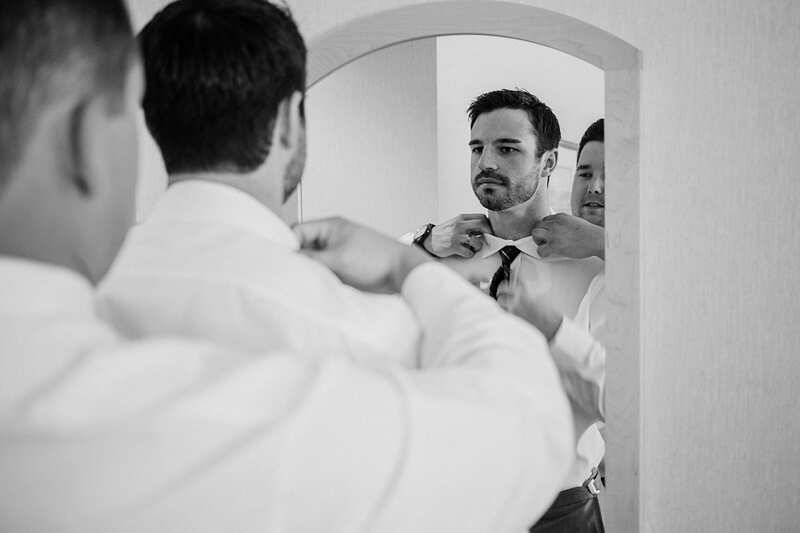 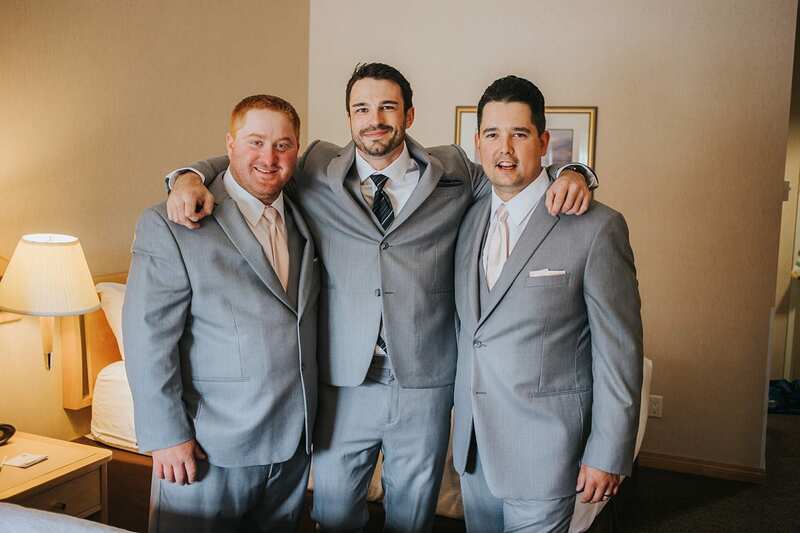 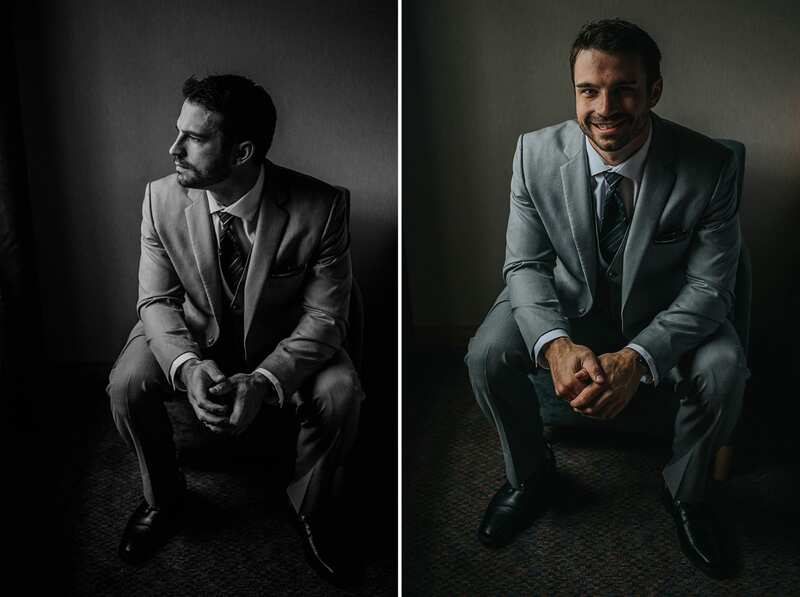 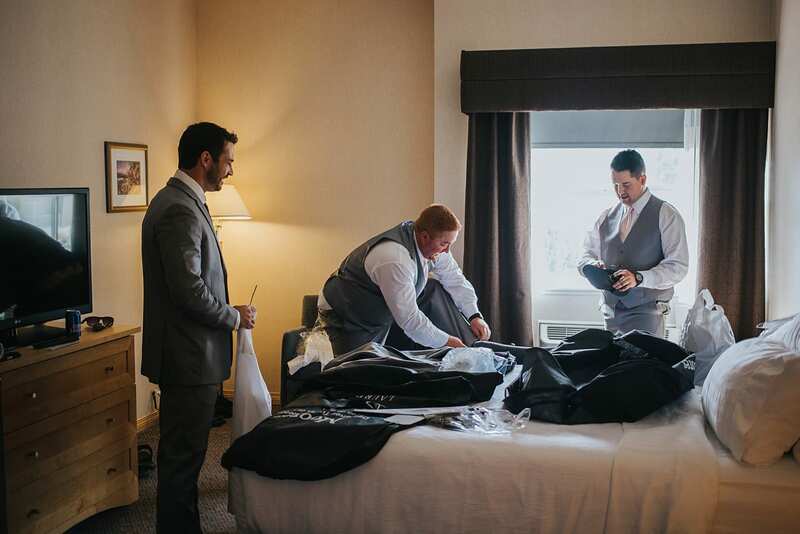 Chris got ready with his 2 best buds amidst laughter and jokes. 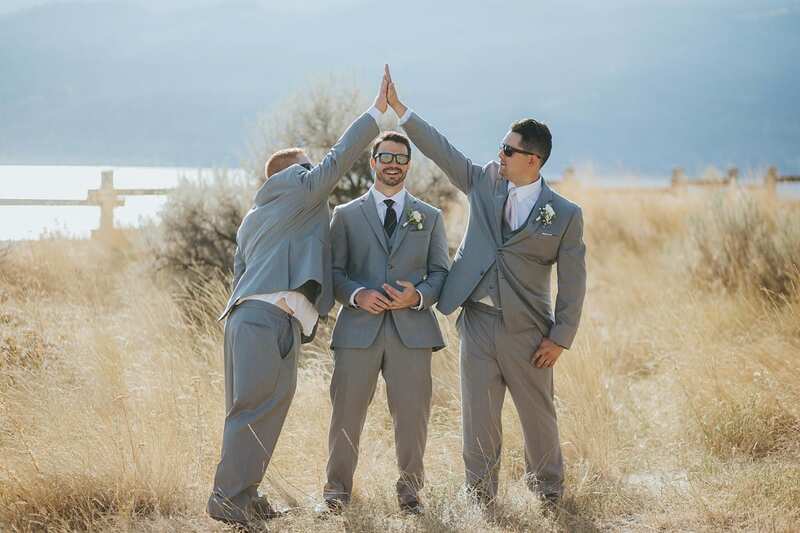 These guys go way back and it’s obvious! 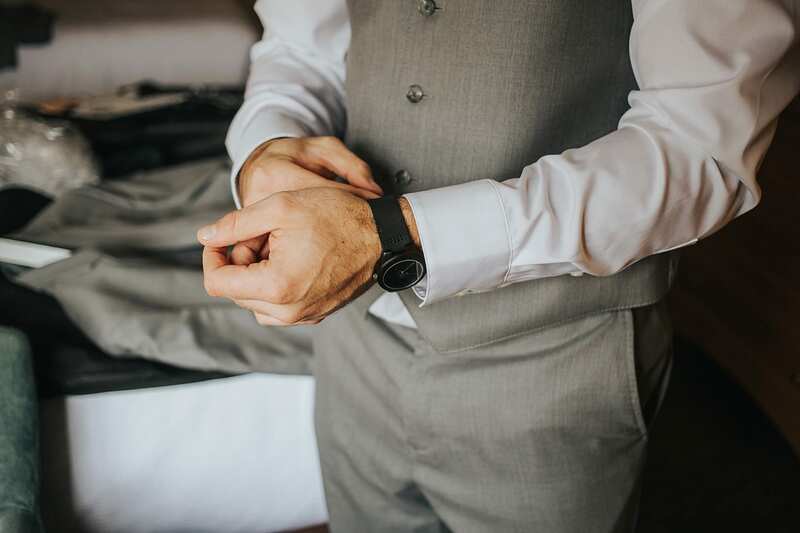 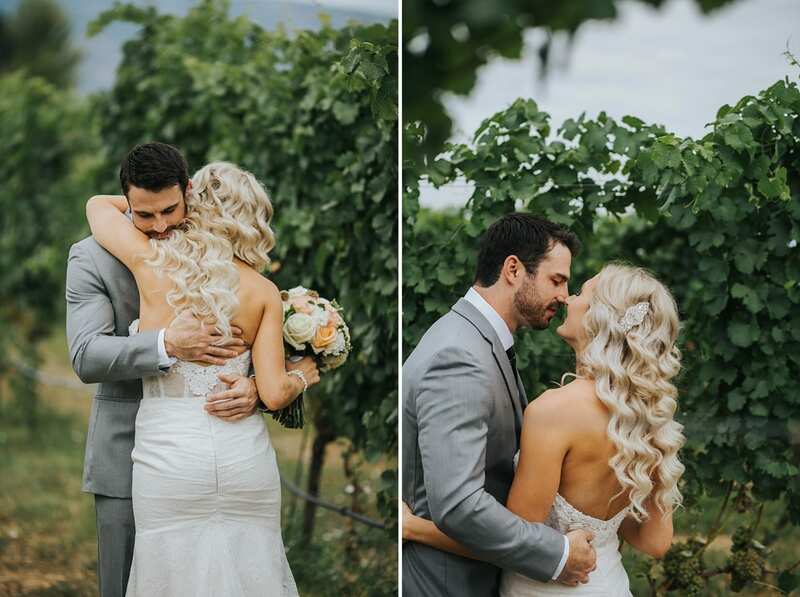 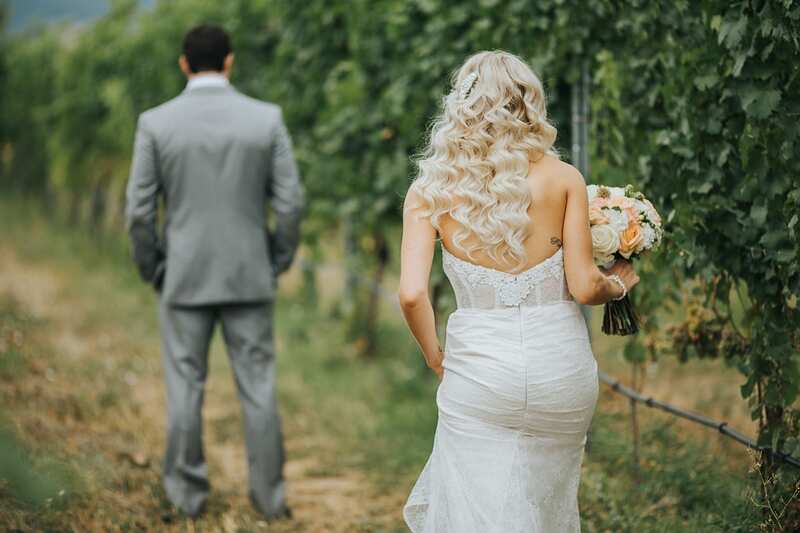 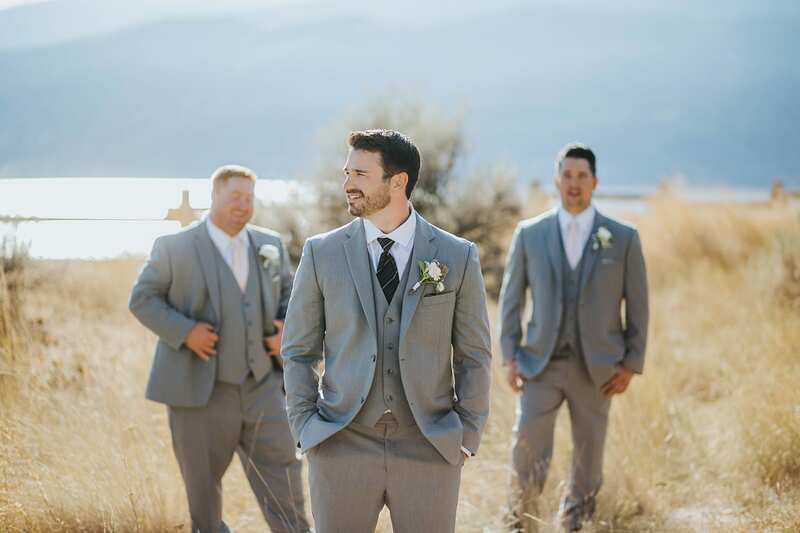 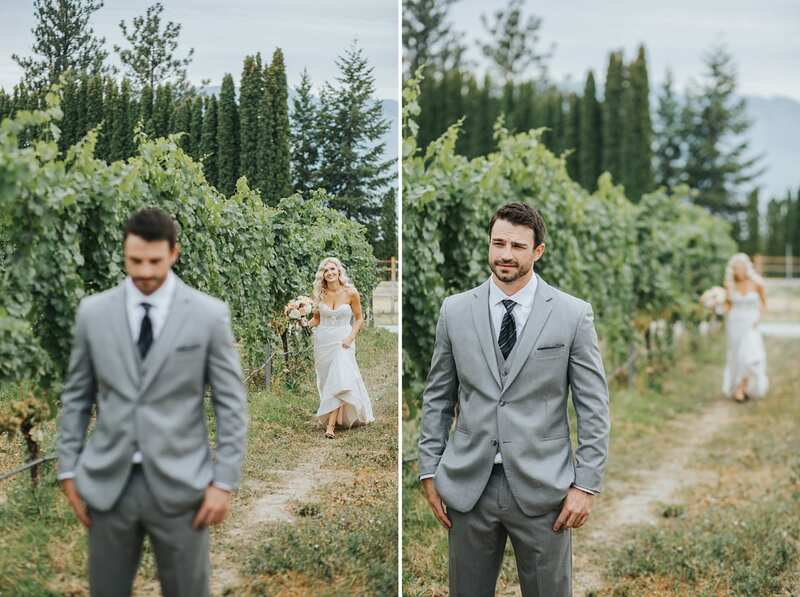 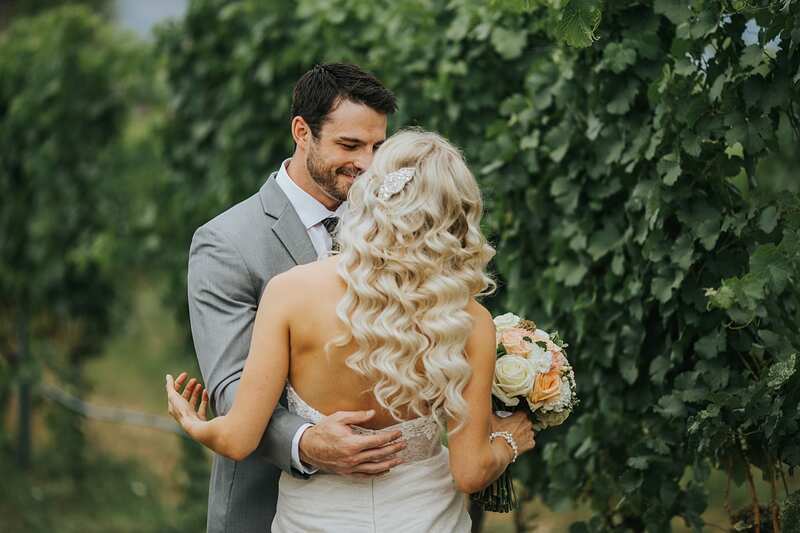 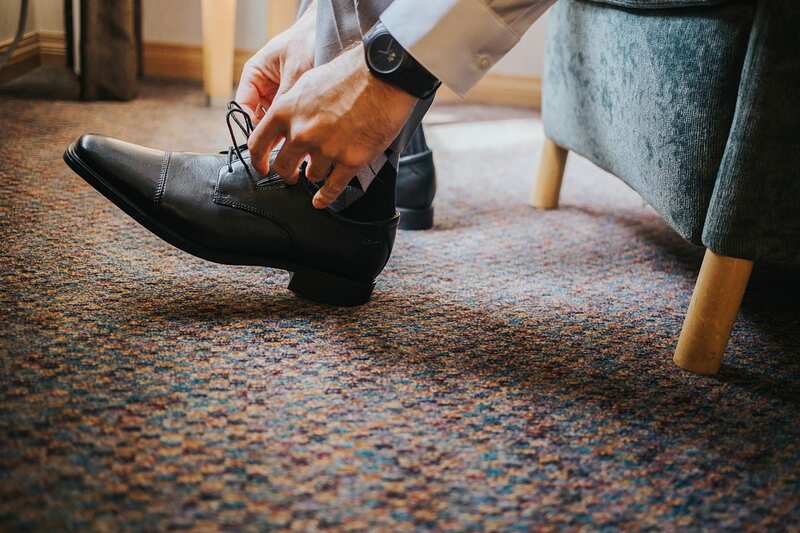 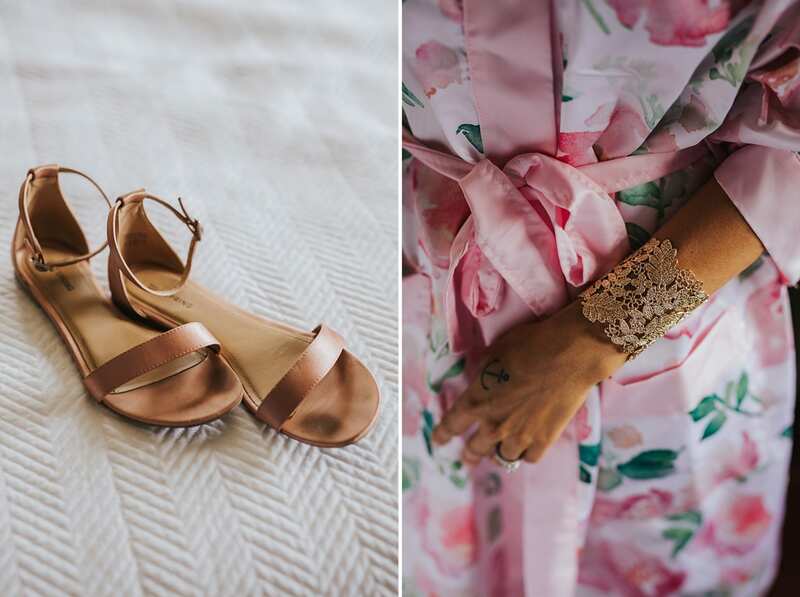 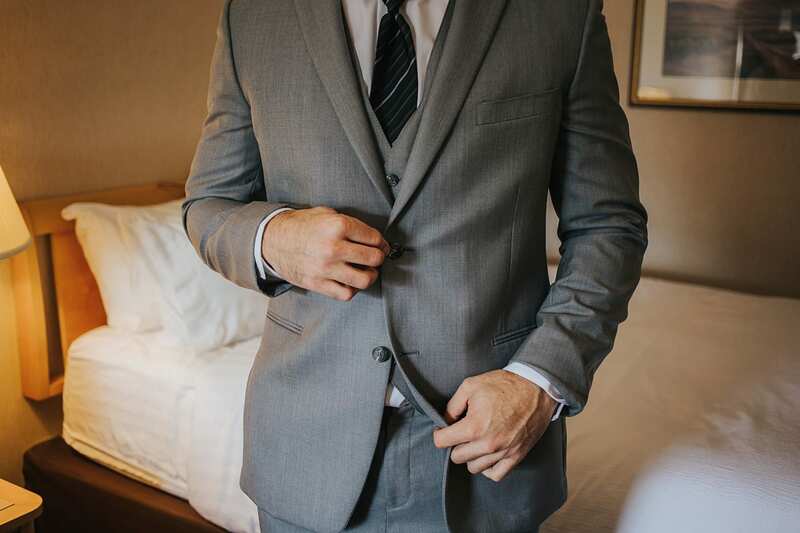 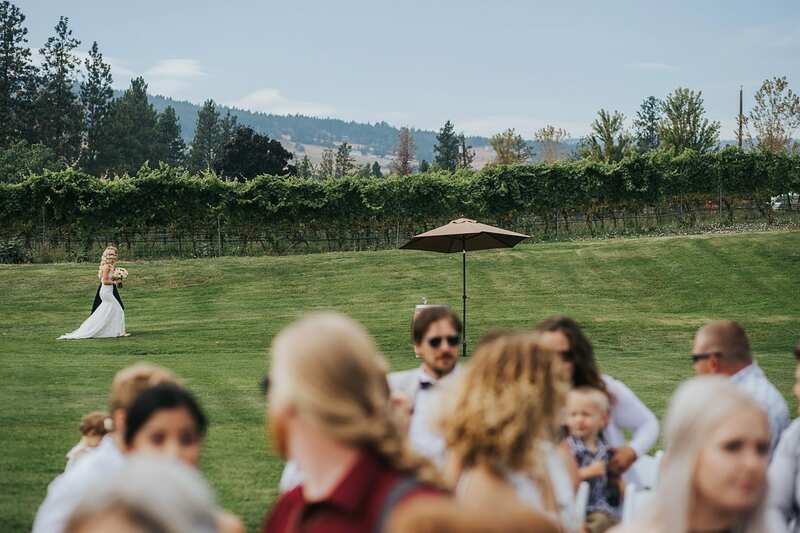 We headed out for their Off The Grid Winery wedding ceremony in West Kelowna to sneak in a first look and take a little pressure off while getting a few portraits among the vines. 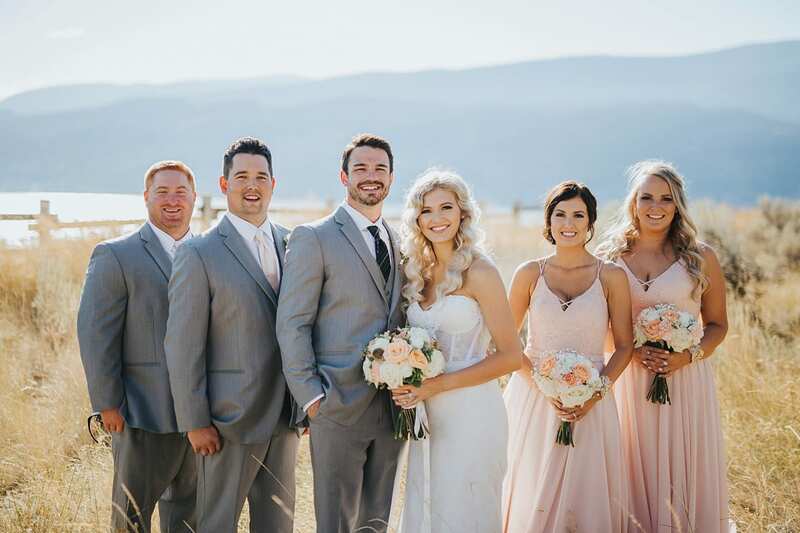 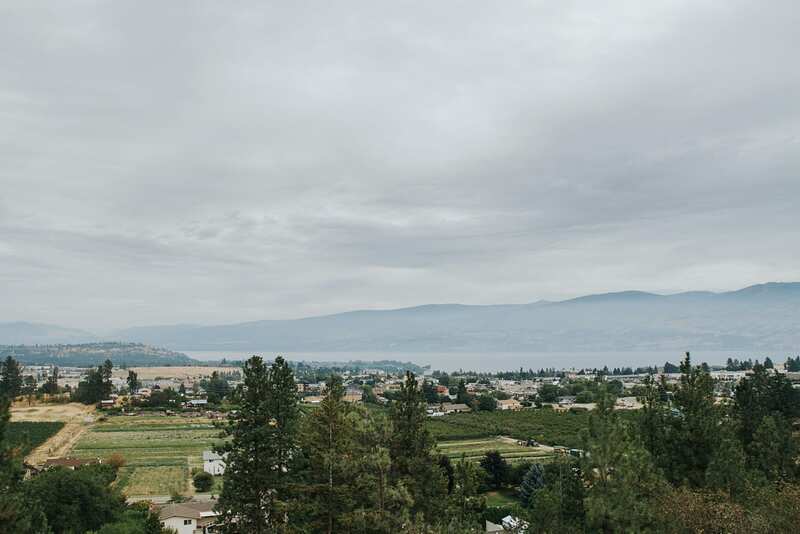 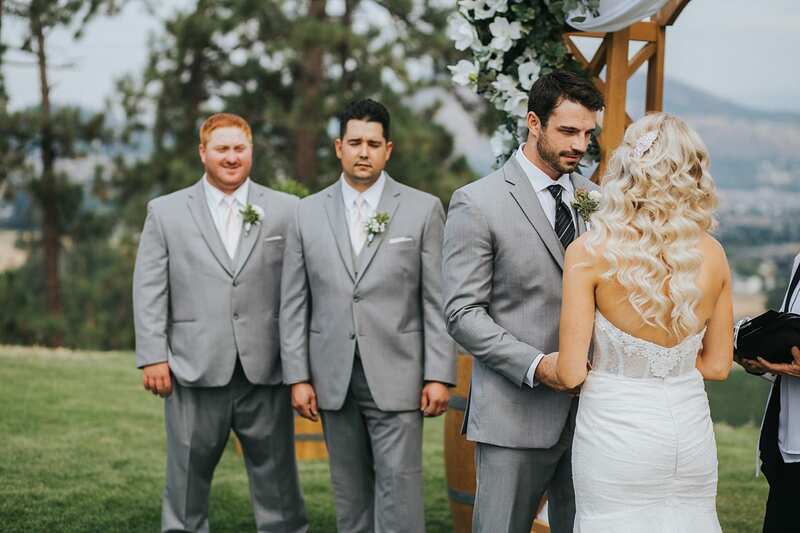 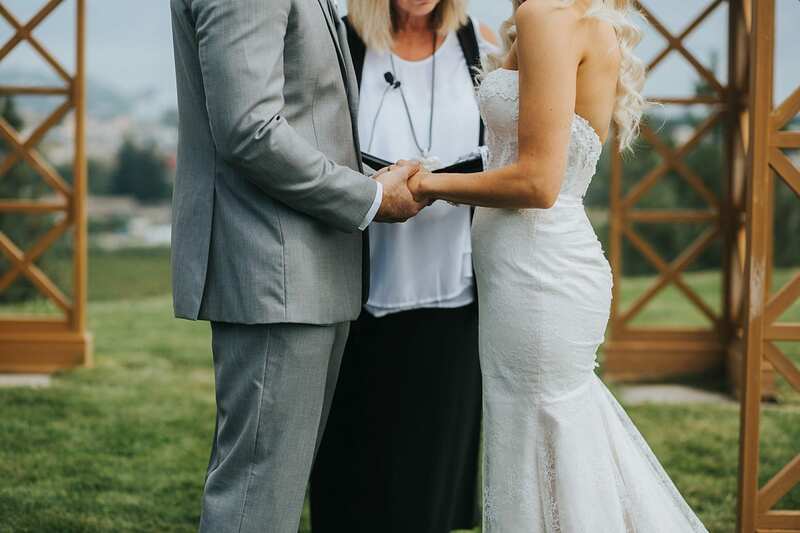 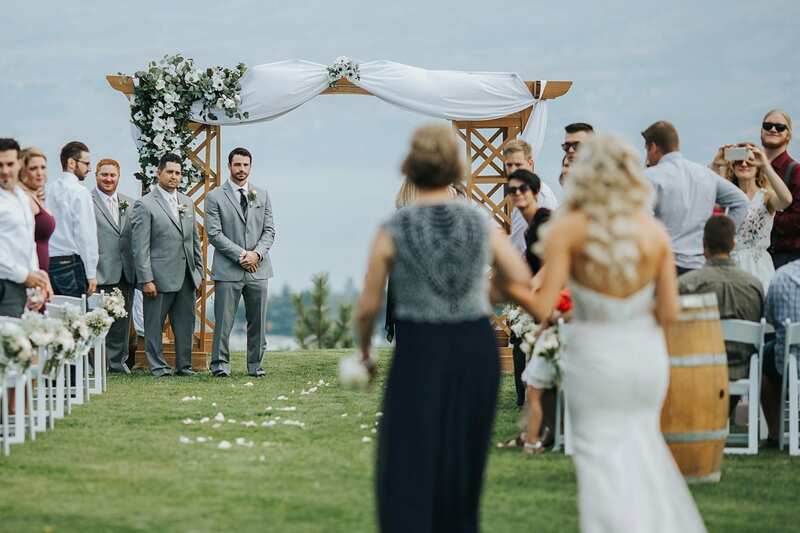 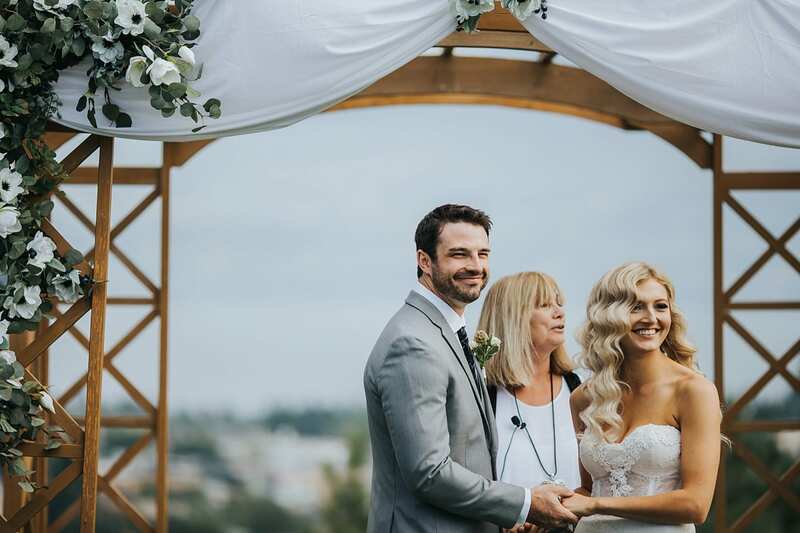 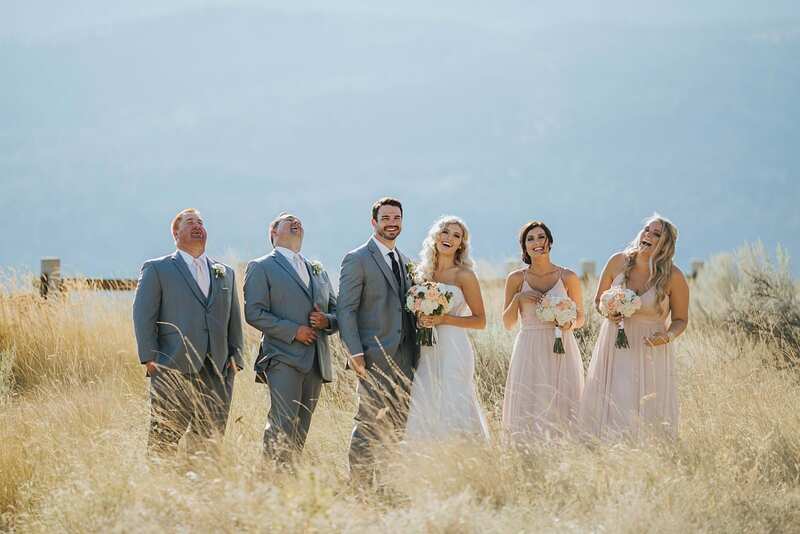 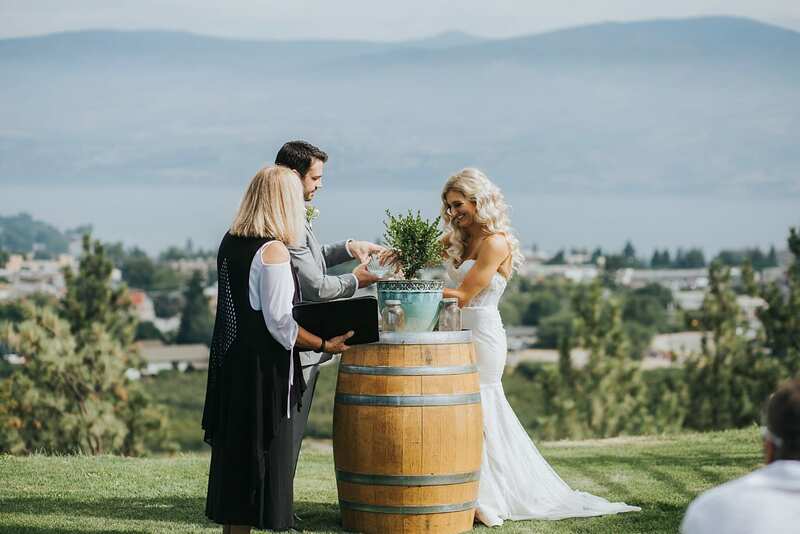 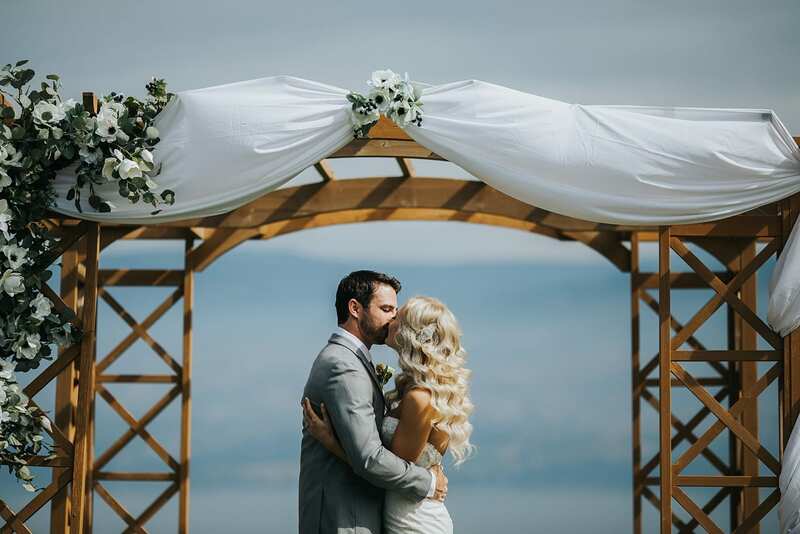 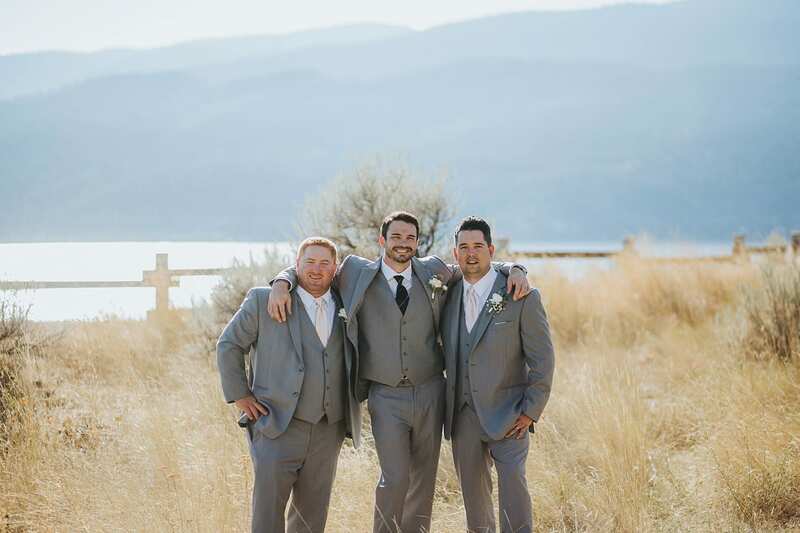 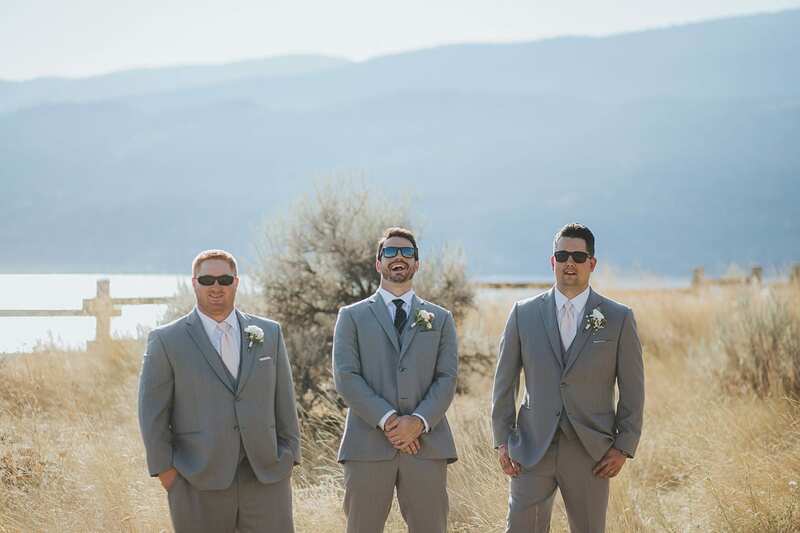 The ceremony was held on the lawn high above West Kelowna and the Okanagan Lake. 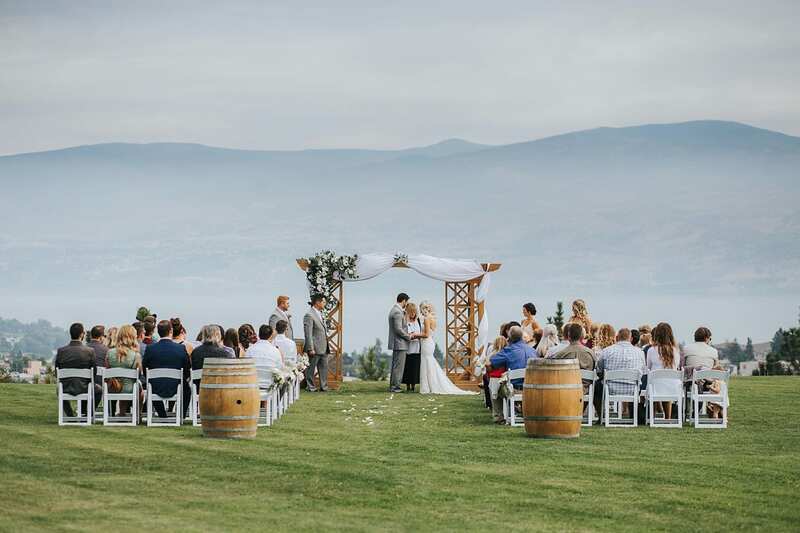 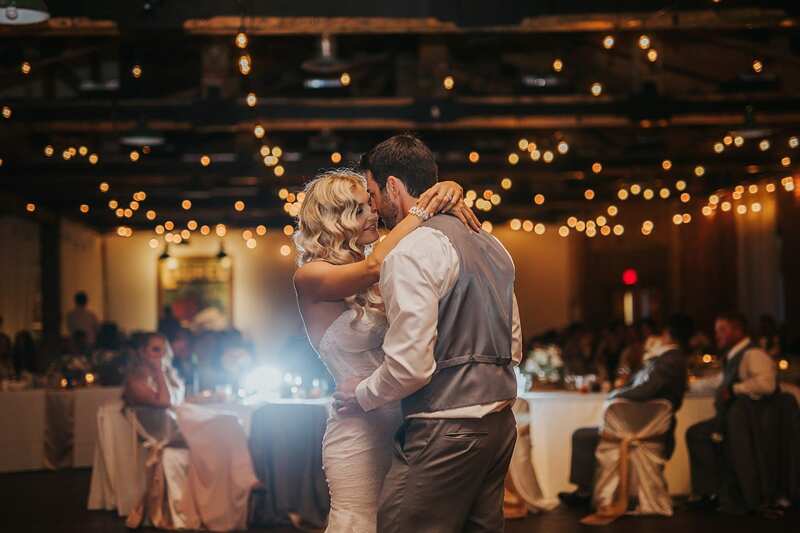 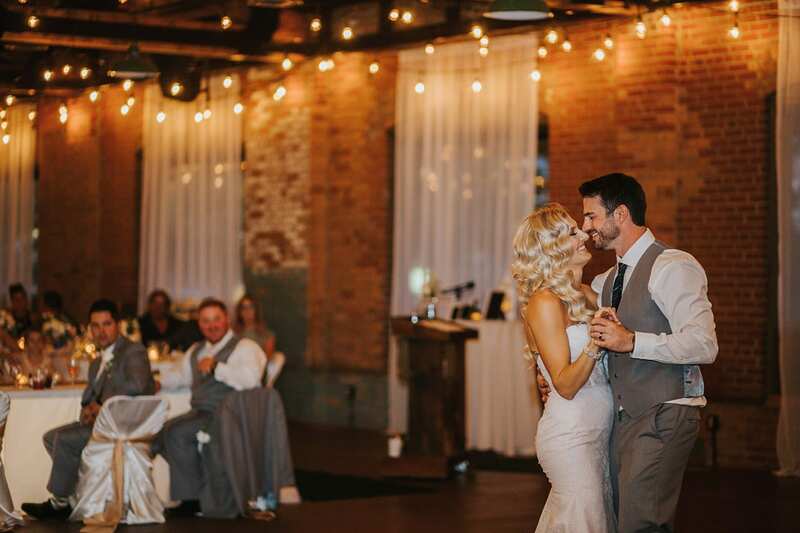 This venue provides a great view and we loved working there! 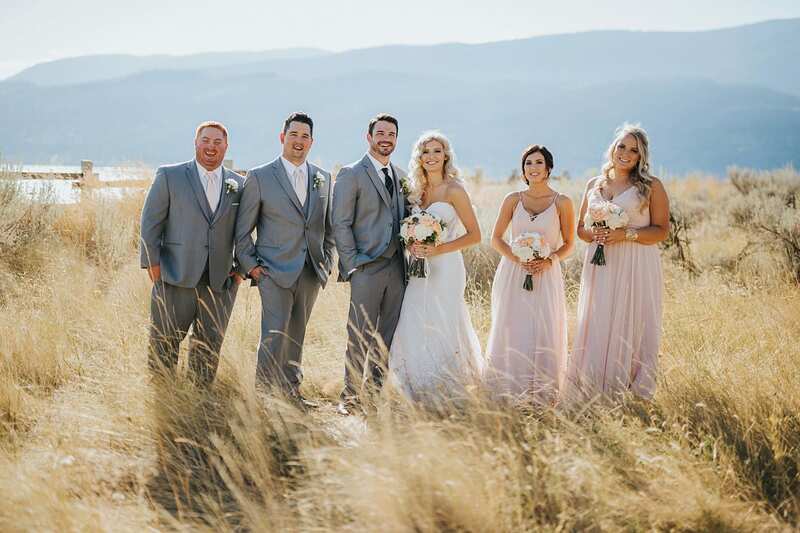 After a little cocktail time and family portraits we headed off to Knox Mountain for a few sunny Bridal Party pictures. 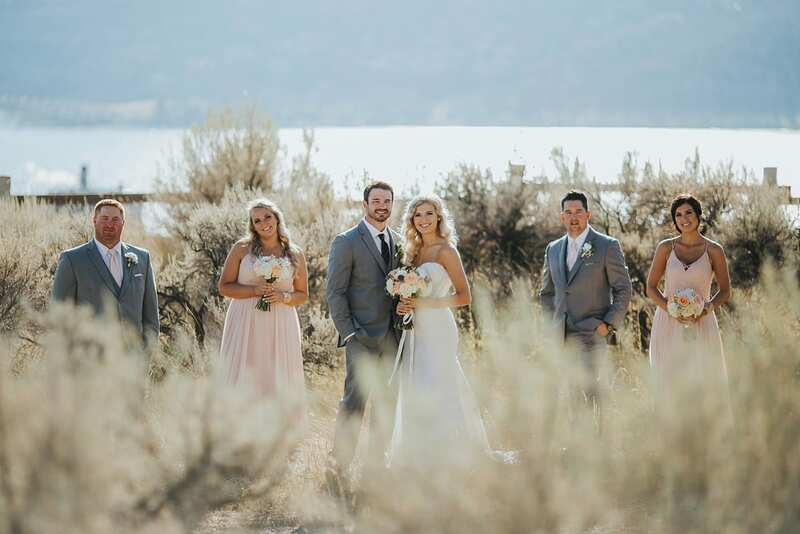 The grass was crunchy and the dark, scraggly branches of the sage bush and other plants added a little dramatic flair for these pictures! 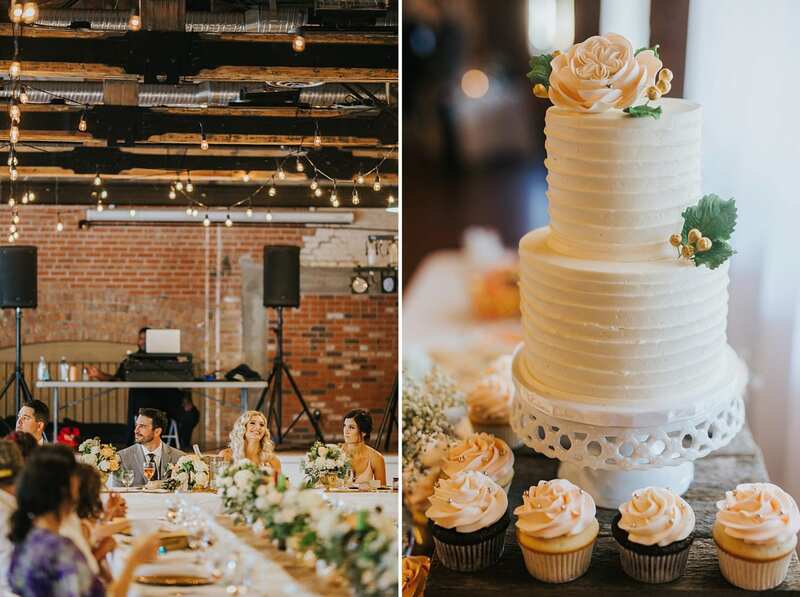 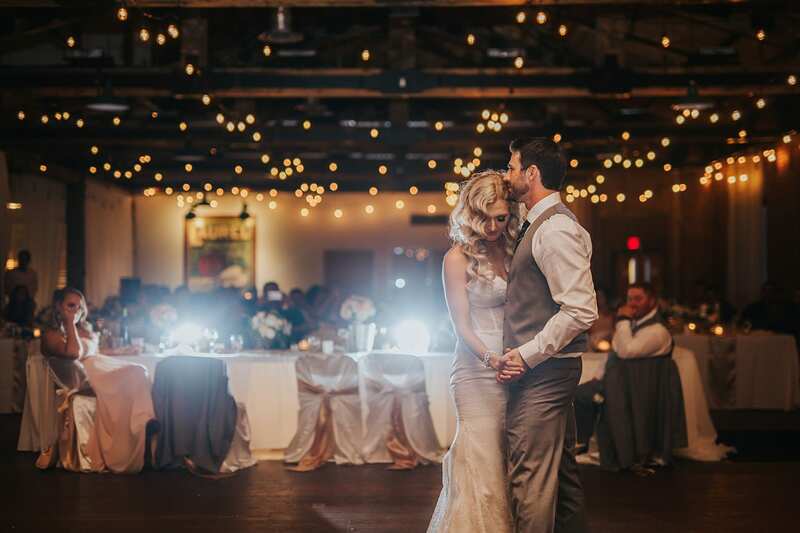 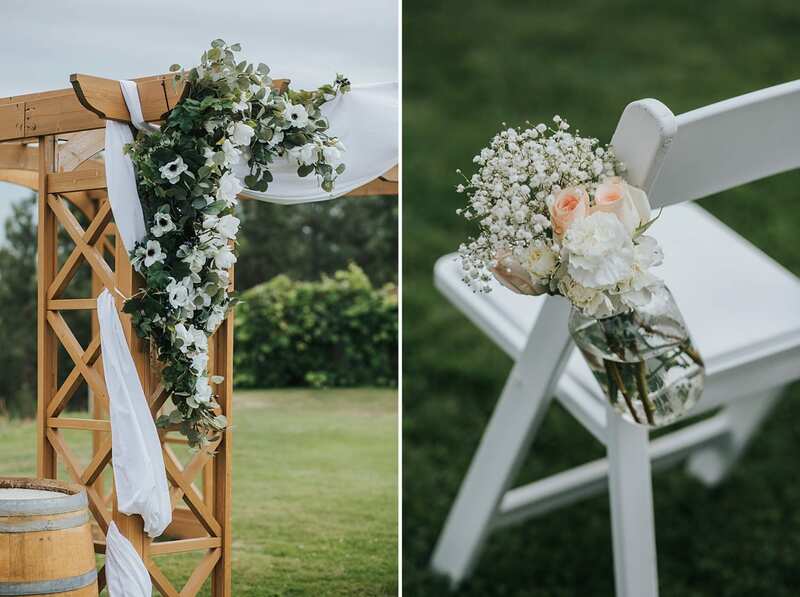 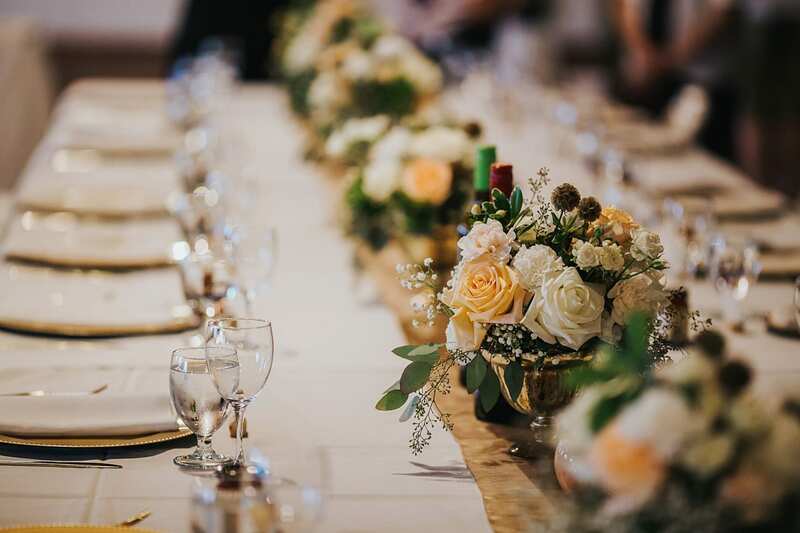 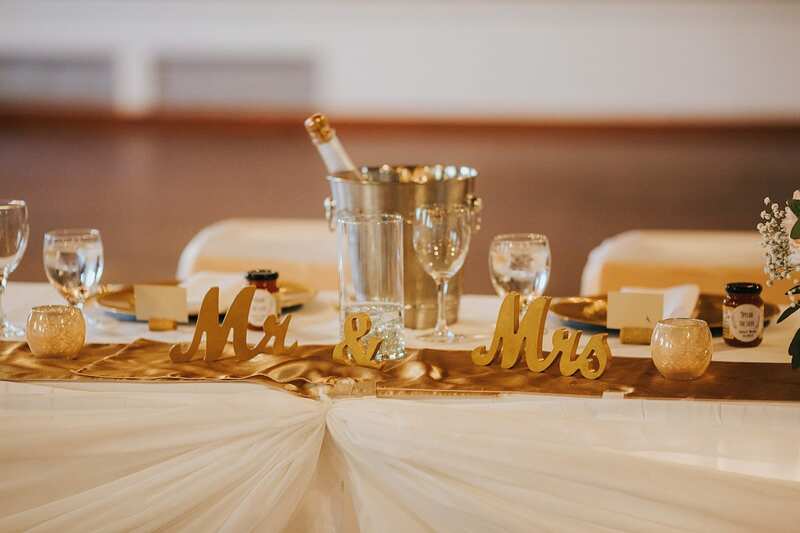 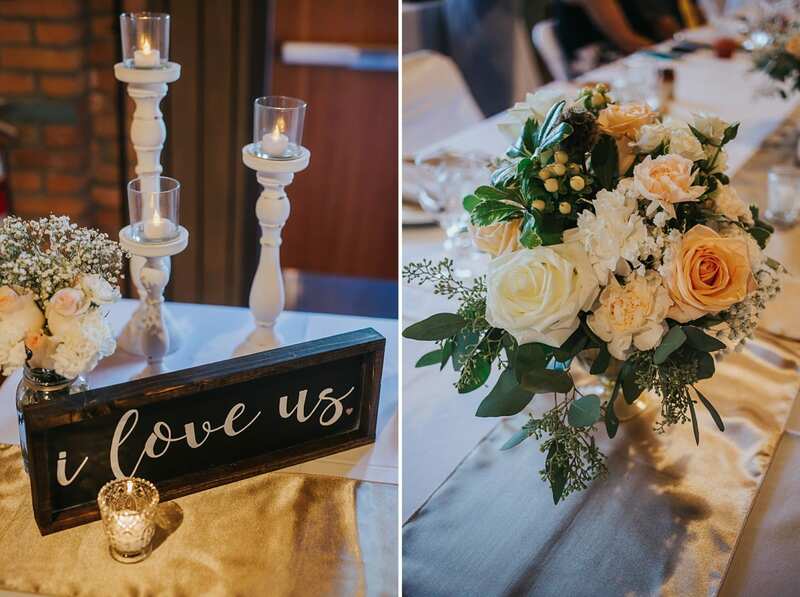 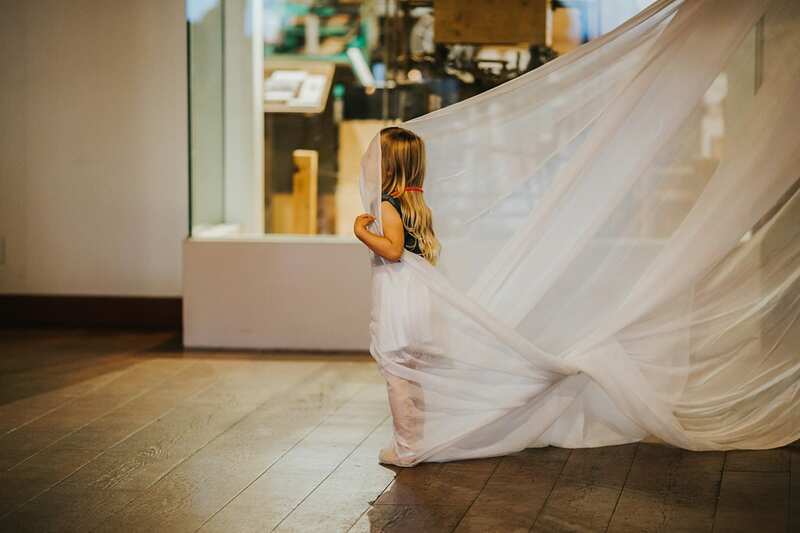 Next we went to the Laurel Packinghouse for the reception and the long tables were sweetly decorated with white, gold, and pops of rustic charm. 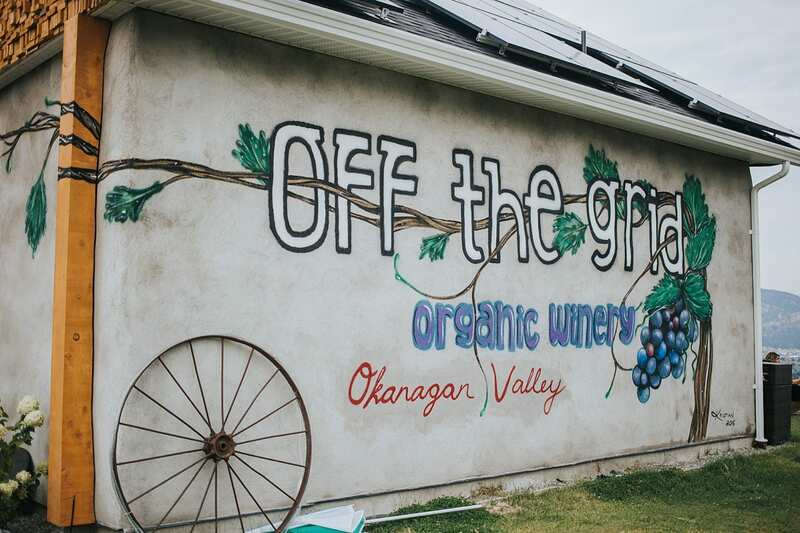 After dinner we went out into the sunset for a few minutes to catch that golden Okanagan goodness! 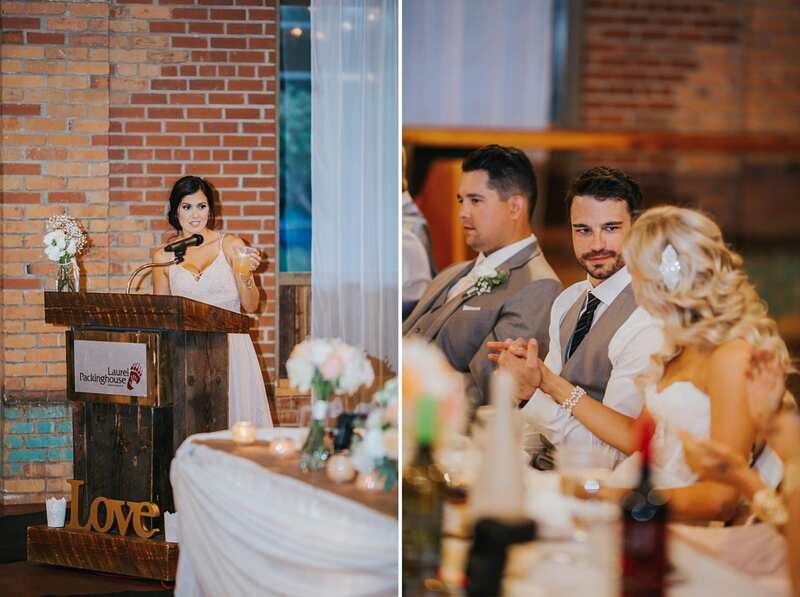 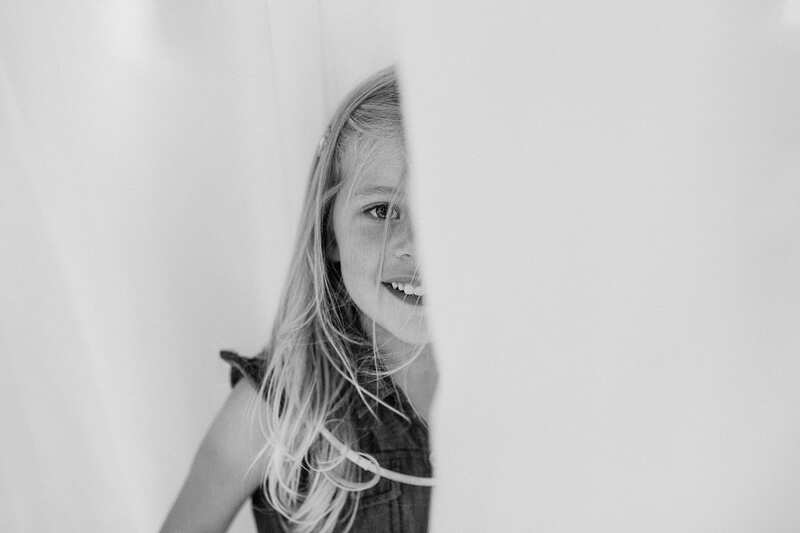 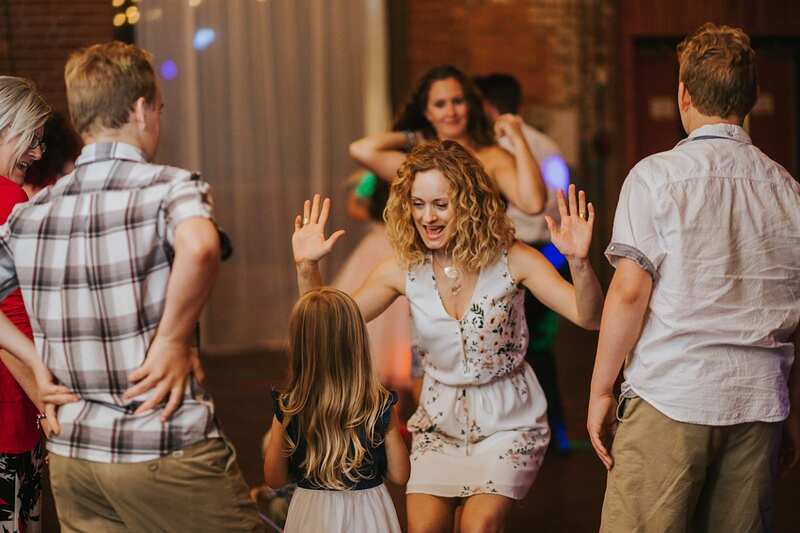 Later, it was time for speeches, games, cake, and then dancing! 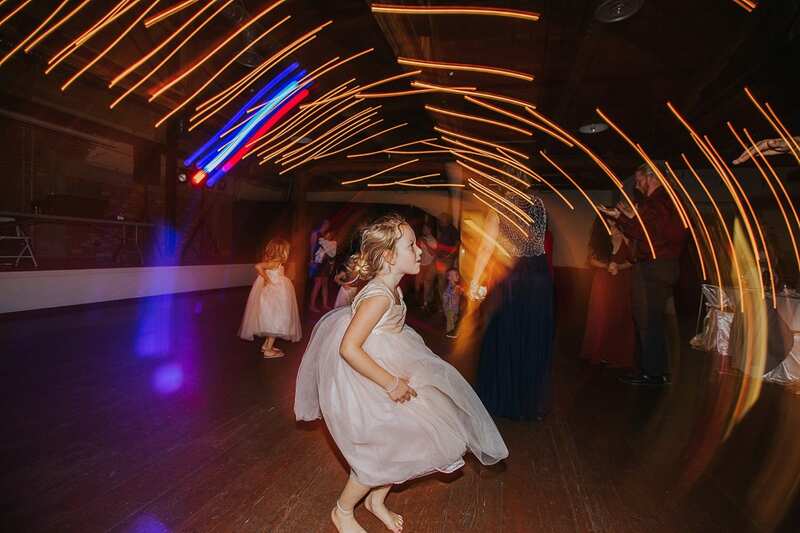 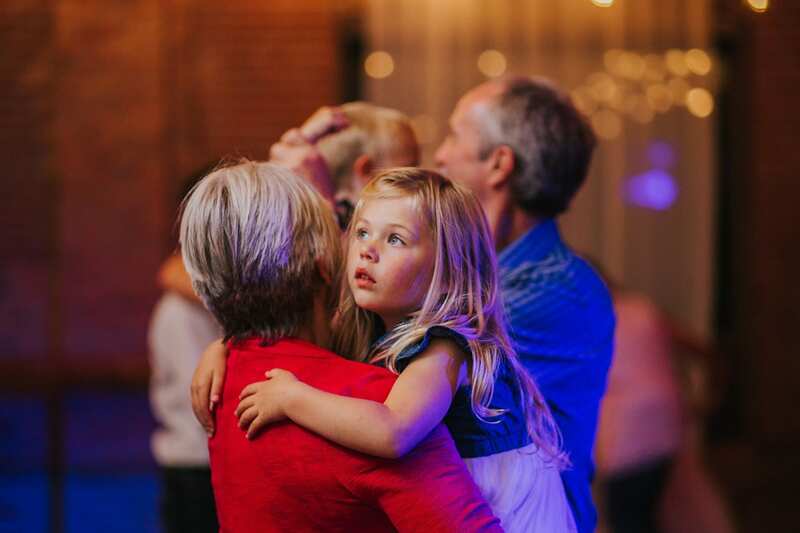 DJ Les kept the party going and people definitely had a great time! 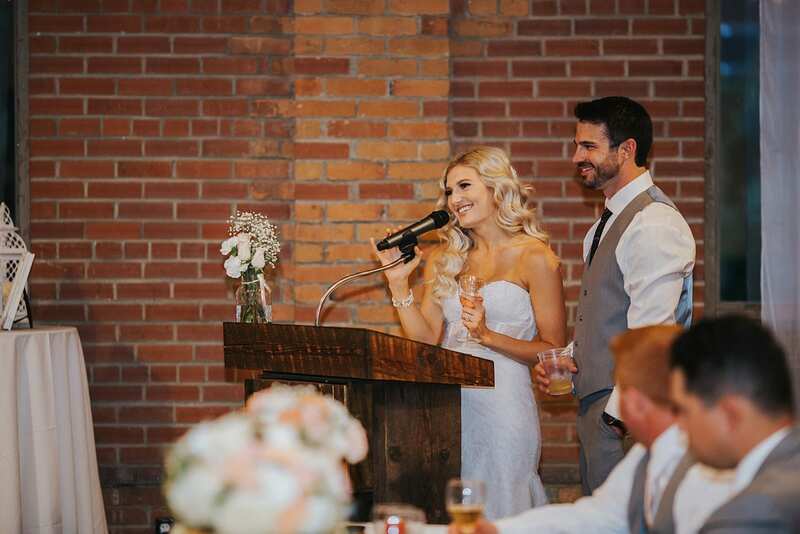 Thanks guys for letting us be there for the big moments!